When you start researching your best places in the world to visit in 2019, where do you start? Are you looking for the most beautiful places in the world to visit? Or are you looking for fun places to go or the best vacation spots in the country, city or on an island? 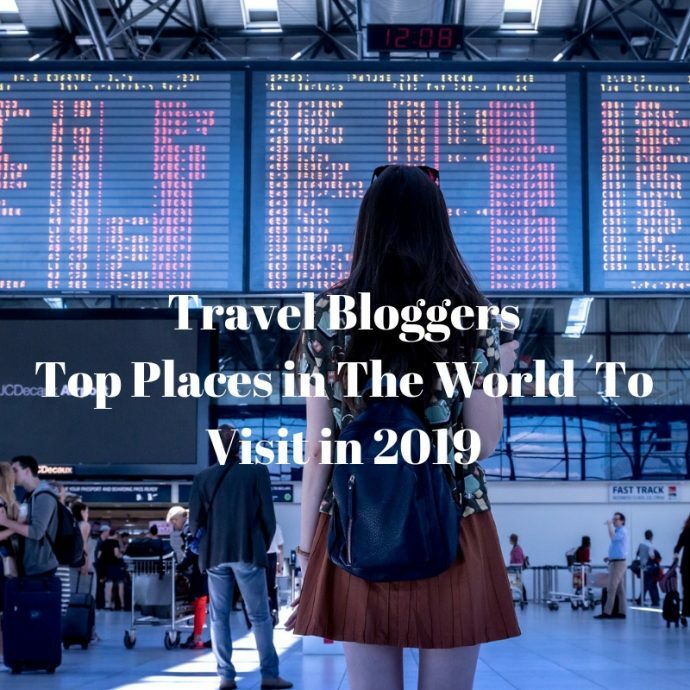 We reached out to 50 international Travel Bloggers to ask for their recommendations on where the best places to travel in the world in 2019 are and these are their responses. What a great line up of destinations and recommendations we received. Where will you travel to? Antarctica is one of the top places to visit that is on everyone’s bucket list. A continent that does not belong to any country and only inhabited by a few thousand researchers each year. A unique destination that has currently only 25,000 visitors each year. This number is expected to grow to 50,000 by 2025. Can you imagine setting foot on the ice shelf that no one has set foot on before? A polar white landscape that is so white that it dazzles. 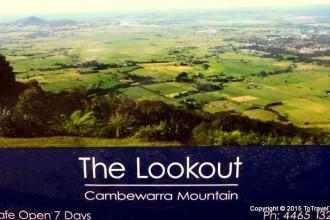 Stunning mountain landscapes, brilliant sunrises and sunsets and the largest icebergs that you will ever see. They call the South Georgia Islands the ‘Serengeti of Africa.’ Where else could you encounter a colony of 30,000 King Penguins, elephant seals and fur seals who look at you sleepily and wonder why you are staring at them? Orca, humpback and minke whales all cruising the depths of the ocean searching for their next meal. A variety of birds that you may not see anywhere else in the world. Travel to Antarctica and the region is only available during the months of November and March. Departures can either be from Ushuaia or Montevideo depending on your cruise company. We believe Antarctica is one of the top places to go in 2019. Check Out Availability and Prices here. Read the latest Tripadvisor Reviews. One of the best places in the world to visit is Antarctica. 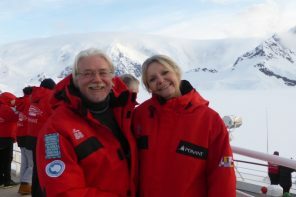 We travelled with Ponant Cruises. For a special discount please contact us directly. 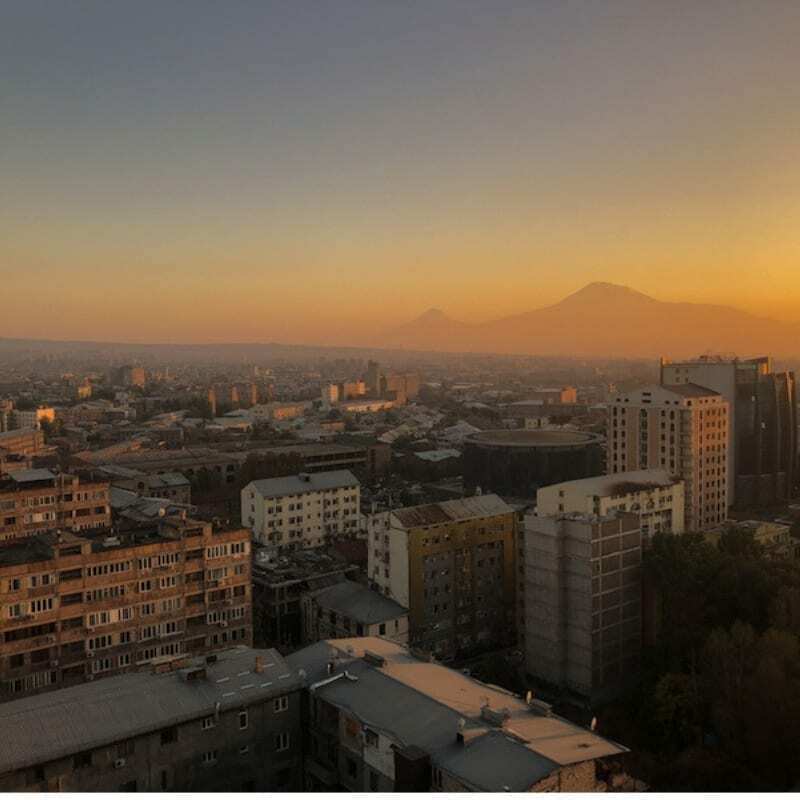 Yerevan, Armenia is one of the best places to visit in Armenia, and easily one of the top destinations for 2019. The Armenian capital city is coming off of a massive, peaceful revolution that completely changed their government and the country is trying to put its treacherous past behind it for a brighter future. What makes Yerevan so special is the people that live there. The locals are friendly, calm, and always up for a good cup of coffee or tea. Or wine. Head to Saryan Street in the city, otherwise known as the Wine Street, and enjoy a glass of delicious Karas wine, my favorite. The city has more sidewalk cafes than any place I’ve ever seen and it gives Yerevan a pulse that is incomparable to other cities in spring and summer. Yerevan, older than Rome, is teeming with buildings made from a pink stone called ‘tuf’ that gives the city an electric hue in the mornings and evenings. There really isn’t a place quite like it on Earth and I think that everyone should add it to their 2019 destination list. Nearby places to visit from Yerevan is the village of Areni where you can undertake a wine tasting tour. 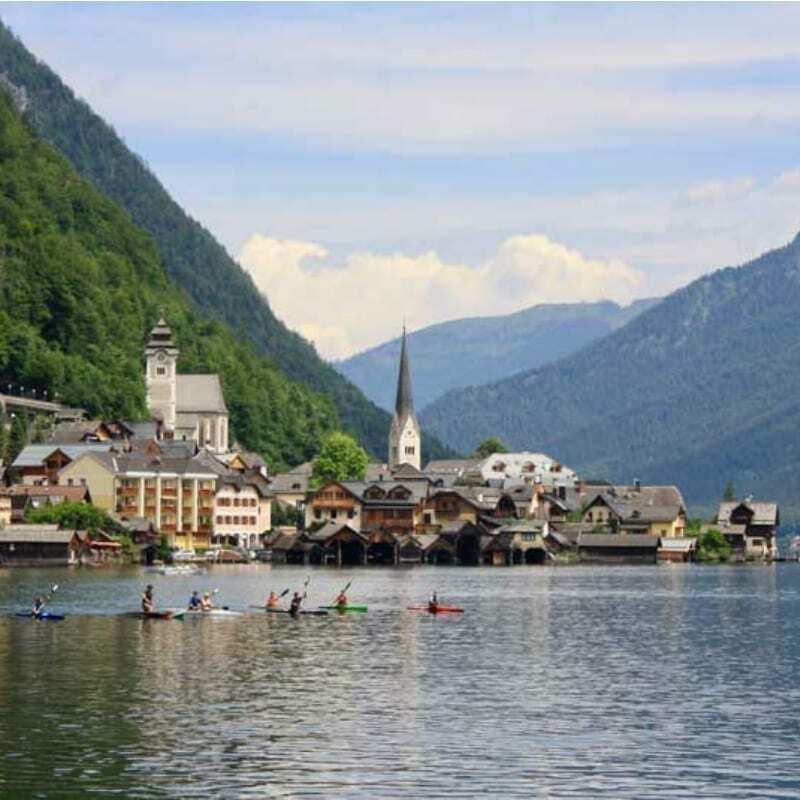 If you are looking for a great destination to visit in 2019, my recommendation is to head to Austria and the Salzkammergut Lakes region. Consisting of more than 50 lakes of all shapes and sizes, the region is not only stunningly beautiful, it also offers plenty of things to see and do. In winter the lakes region is ideally located to access the ski resorts of Zwölferhorn and Dachstein, whilst in summer – and throughout the year – the sparkling lakes with their mountain backdrops provide the perfect place to unwind. As well as the numerous water activities on offer, there are salt mines to visit, cable cars and cogwheel trains to ride and hundreds of kilometres of trails to explore on foot or two wheels. With so many lakes in the area, it’s hard to know which ones to visit. My tip is to choose one lakeside town as your base and do day trips to other towns and lakes – they are all within easy reach. Hallstattersee and Mondsee (home of the famous ‘Sound of Music’ wedding church) are two of the most popular lakes to visit but if you’d prefer a quieter location don’t overlook Fuschlsee which is just 30 minutes from Salzburg. One of the best places to travel to is the Lakes District in Austria and while you are there you can take an Original Sound of Music Tour. As far as remote destinations go, Western Australia is about as far removed as you can get, and once over here (if travelling within Australia) you could rightly feel as if you’re in another country altogether. But certain pockets of WA are becoming internationally renowned and gaining daily in popularity. One of the top places to visit in 2019, before mass tourism truly strikes, is the Margaret River Region. Margaret River has been called “The Jewel of the South-West” and in 2010 featured as one of the top ten destinations to visit world-wide by Lonely Planet. Famous for its world-class wines and gourmet food, this region has also become part of an internationally acclaimed foodie event – The Margaret River Escape which attracts celebrity chefs from all around the world each year. 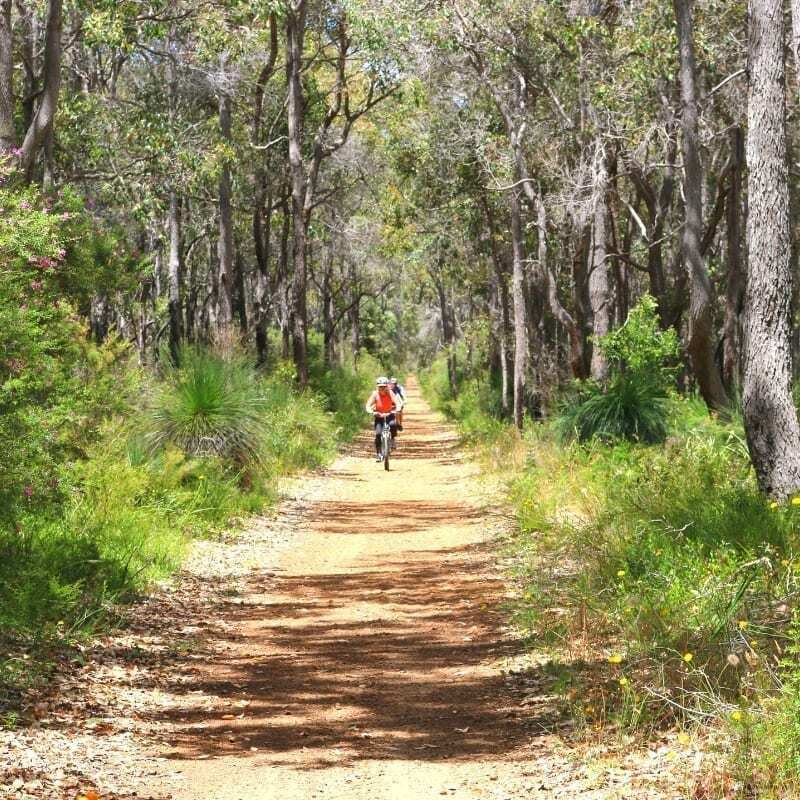 With its renowned surf beaches, beautiful Karri forests, many limestone caves, wooded walks and cycle tracks, and a beautiful river perfect for kayaking, Margaret River really deserves its accolades because there is just so much to do in a relatively small region. Situated between Cape Naturalist in the North and Cape Leeuwin in the south the region extends about 135km north to south, and to cap it all there’s a beautiful walk you can do between the two coastal capes. The township of Margaret River itself, is situated about 9kms inland from the beaches, the nearest of which is Gnarabup at Prevelly where there’s a lively beach cafe called The White Elephant. You’ll find the town on the banks of the Margaret River, and it exudes a relaxed, slightly hippy vibe and offers various levels of accommodation. There are some sensational places to visit in Margaret River and it truly is one of the jewels of the southwest. One of the best places in the world to visit is the Margaret River Region of Western Australia. A full day tour visiting 4 wineries and enjoying a chocolate tour, olive oil tasting and a cheese tour. Sydney is a bucket list destination for so many travellers, and rightly so. The city has so much to offer visitors from the big guns, the Opera House and Harbour Bridge, to world-class annual events like the NYE fireworks, the world’s largest Gay and Lesbian Mardi Gras in March and the spectacular VIVID festival of Light and Ideas each May. With more people travelling every year why postpone your visit any longer, 2019 is the perfect time to come and see Sydney for yourself. My biggest tip as a Sydney local is to make sure you lock in your accommodation nice and early if you are coming into town for any of the main events. Accommodation in Sydney is at 80% capacity year-round and prices go up significantly during key times. Leave it too late and you end up paying top dollar for a less than a special room. Also be sure to check out the Sydney Greeter program where you are matched with a local volunteer who will spend a few hours showing you around the city. We are biased as Sydney is our home town and we believe it is one of the best vacation places. 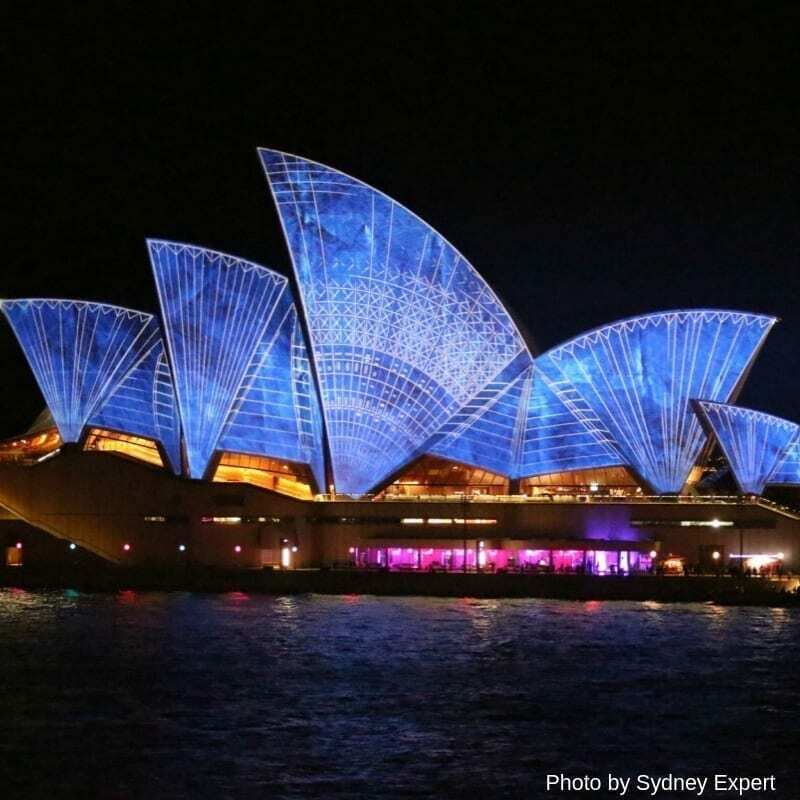 A tour of the Sydney Opera House is a must for all visitors. Imagine an endless white carpet stretching for miles and miles. If you squint your eyes, you can see the top of the mountains in the horizon. It’s cold and you hear a cracking noise under your feet. But no, it’s not ice or snow. It’s salt. Miles and miles of salt around you! Welcome to the Salar de Uyuni in Bolivia, the world’s largest salt flats! Covering approximately 11,000 square kilometers, this sublime place is the results of a prehistoric sea that went dry. 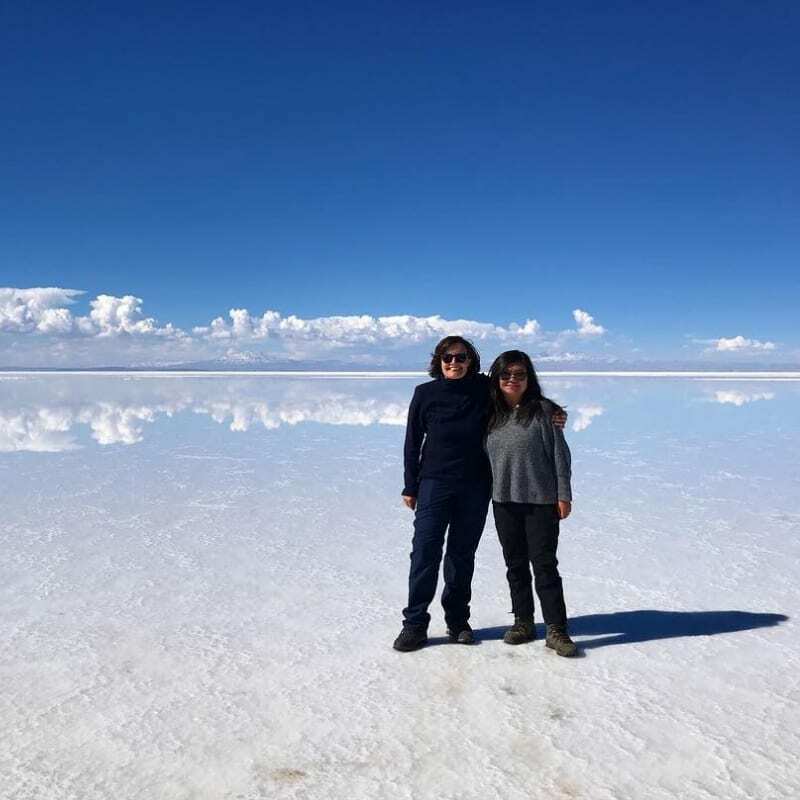 If you happen to be there at the right time like we did (when it just rained a few days ago), then you get to experience an even more majestic landscape: the vaste salt flats turn into a natural mirror and you feel like standing in paradise, where Heaven meets Earth! Only a few hours’ drive south from the Salar de Uyuni, several other breathtaking landscapes are waiting to be explored: the red lagoon, the white lagoon, the green lagoon, pink flamingos in their natural habitat, and active geysers! If southern Bolivia is not on your bucket list, then you should definitely add it now! One of the cool places to visit is the worlds largest salt flat. View the Train Cemetery and stop in the small town of Colchani. Enjoy lunch in the middle of Salar de Uyuni. Travel to Tunupa volcano and watch the sunset. For travellers to South East Asia, Cambodia is not a new destination. Its friendly people have been greeting visitors with genuinely warm smiles for decades. And whilst the temples of Angkor are deservedly popular, some will argue that Cambodia is already ‘over-touristed’. Despite this, surprisingly few travellers venture beyond the tourist hotspots, even though it’s a lot easier to escape the crowds that you might imagine. 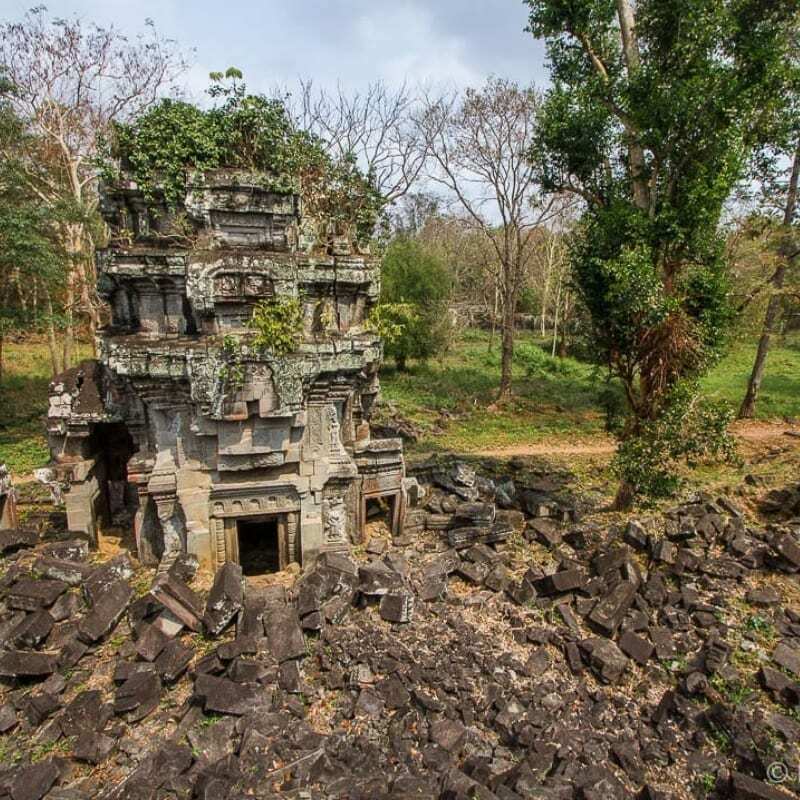 Tourists rush to Siem Reap, but Cambodia has many equally impressive off-the-beaten-path Angkorian temples that, chances are, you won’t have to share with anyone. Things are developing rapidly though and 2019 might just be your best chance to visit the Cambodia I know and love before it changes. 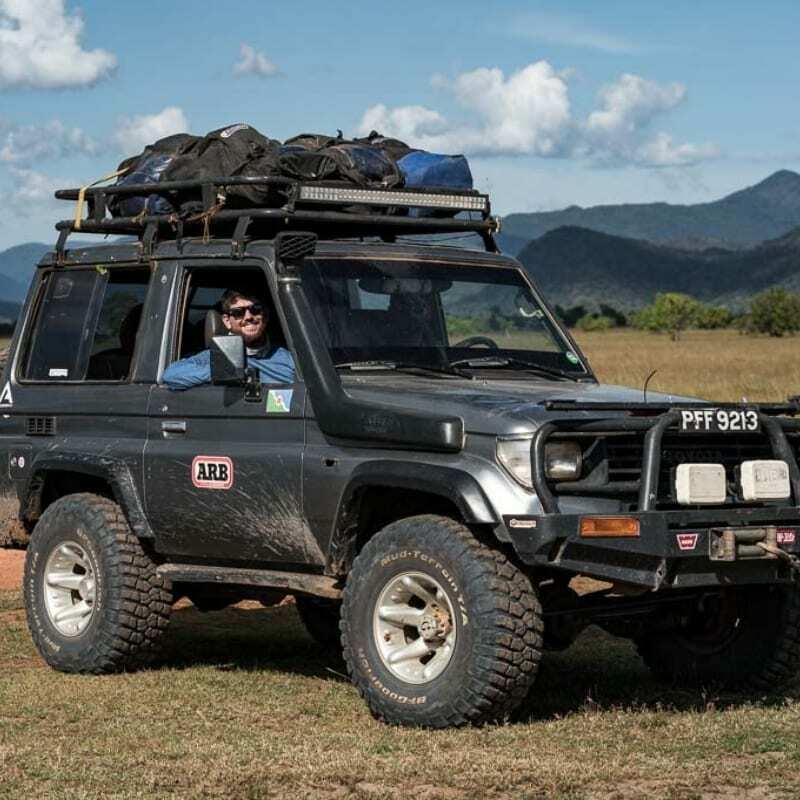 My top advice would be to allocate more time on your itinerary than you think you’ll need for Cambodia. So many travellers regret not being able to spend longer in Cambodia, having squeezed in a trip to the temples and the beach in between longer stays in neighbouring countries. Beyond the temples, Cambodia has plenty for those looking for something a bit different – there is an emerging arts scene, from street art in Phnom Penh to the circus skills of the Phare Cambodian Circus who perform in Battambang and Siem Reap. Wildlife lovers can visit Phnom Tamao Wildlife Rescue Centre near Phnom Penh, or experience an elephant sanctuary in the wilds of Mondulkiri. One of the places to visit near Phnom Penh is the Phnom Tamao Wildlife Rescue. The tour is between 6 – 8 hours long and you can see more than 12,000 wildlife. A picnic lunch is served. South America is an amazingly diverse continent. Anyone who ever visited this region will tell you that. There are many great locations in South America worth exploring, but if I were to recommend just one it would definitely be Torres del Paine National Park in southern Chilean Patagonia. Nothing can prepare you for your first glimpses of Torres del Paine! It’s intimidating and utterly unforgettable. A paradise of pristine rivers, roaring waterfalls, massive ice fields, and vertiginous granite peaks that will take your breath away. Literally! Torres del Paine is as wild as it is beautiful, so in order to have a great time there, you should go prepared. One of the things to consider when planning your trip to Patagonia is the climate. Weather is very extreme here and it can change rapidly. You can count on strong winds, rain, mud, and even snow at any time of year. Most visitors prefer to visit Torres del Paine in summer (November to March), when the weather is warmer and more stable. However, in summer the park is full to capacity and everything is more expensive. So deciding what’s the best time for you to go depends on your preferences, expectations and budget. One of the best places to visit in the world if you enjoy National Parks is the Torres Del Paine National Park. 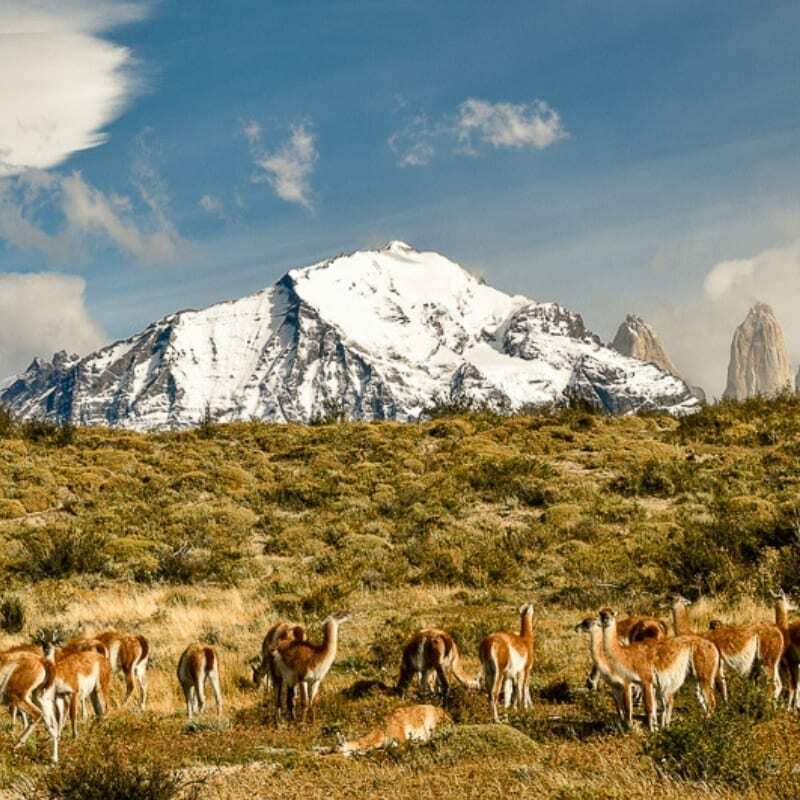 You can now enjoy a full day tour to the Torres Del Paine National Park with lunch included. The country of magical realism steals your heart with untamed paradise beaches, charmingly preserved colonial cities, adrenaline activities, and Amazon excursions. Combine three exciting destinations – Cartagena, Leticia, and Medellin – to experience the highlights of Colombia. Roam through the old walled city of Cartagena searching for the best cafés and quirkiest colonial houses, explore the Spanish fortress overlooking the coastline, and take a boat to Tayrona National Park to explore coral reefs, jungle beaches, and pre-Hispanic archeological sites. After a couple of days, take a cheap internal flight to Medellin, the red-bricked capital of Antioquia. Follow the misadventures of Pablo Escobar visiting his former prison, mansion, and grave. Take a raven’s view of the city by paragliding down from the green hills, take a cable-car through the undulating suburbs, and visit Comuna 13, former murder capital of the world, which has turned into a cheerful graffiti-filled neighborhood. Finish off with an Amazon adventure: fly into the tiny town of Leticia and take a riverboat to Puerto Narino ecovillage, from where you can do day trips to spot pink dolphins, visit indigenous tribes, or hike in the Amazon. 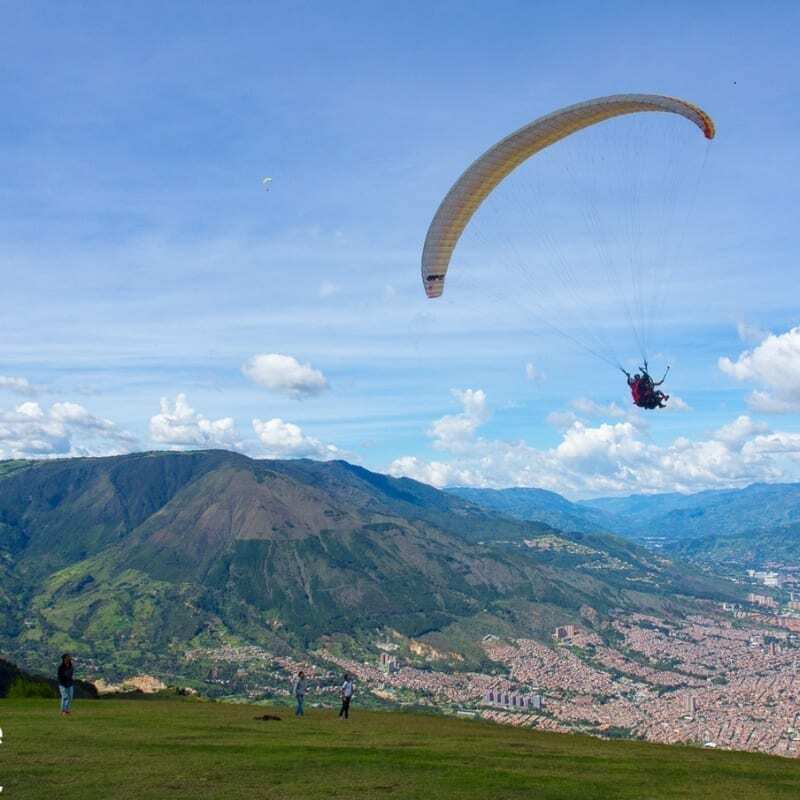 Medellin is one of those travel destinations where you can enjoy a unique paragliding adventure. Croatia is my top travel destination for 2019. Located in the Balkans along the Adriatic Sea, Croatia is full of amazing sites to see, from historical cities to beautiful waterfalls, and colorful lakes. Check out Dubrovnik and see one of the most fortified cities in the world. Walk along the old city walls for amazing views of the city and the Adriatic, hike up steep stairs to cobblestone alleyways, stroll through the famous Stradun street. 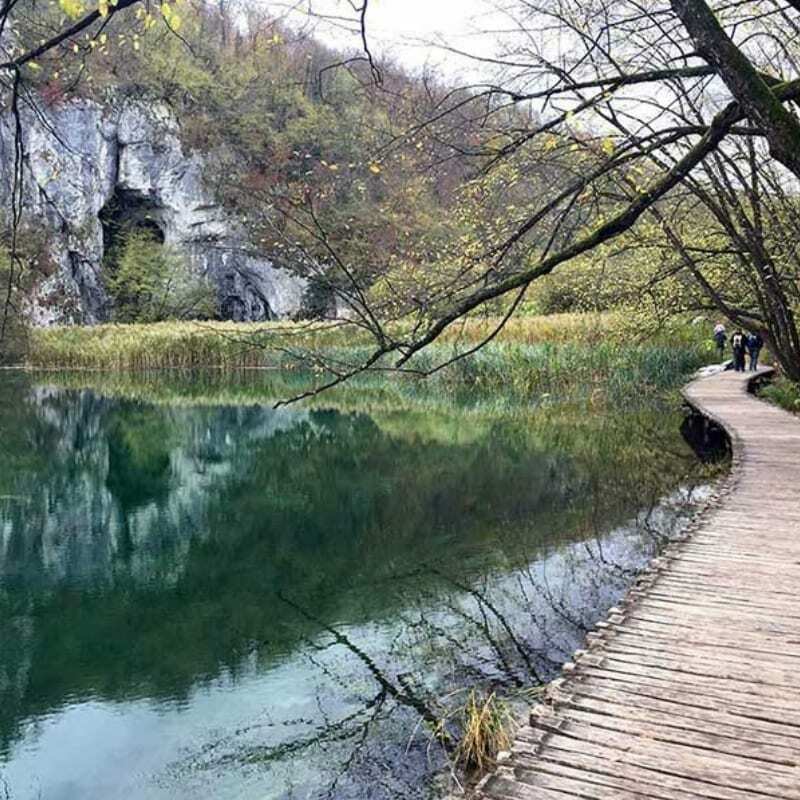 For more of a nature-filled experience, wander through the wooden planked hiking trails at Plitvice Lakes National Park for colorful lakes and waterfalls. The first national park of Croatia is known for its 16 beautiful lakes that change color depending on the light and terraced waterfalls located in between the lakes. 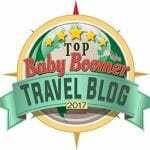 My top destination travel tip would be to rent a car, it is so much easier to see the entire country and in a leisurely way. One of the loveliest places to go on vacation is Plitvice Lakes in Croatia. A guided tour is available that includes both the upper and lower lakes. 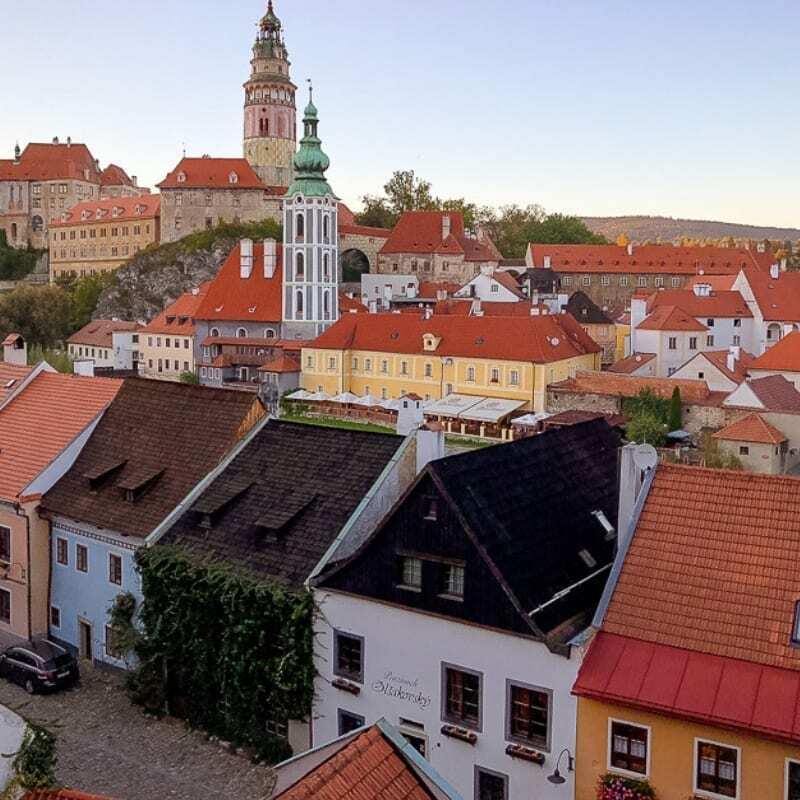 In the South Bohemia Region of the Czech Republic is the charming medieval town of Cesky Krumlov. Boasting beautiful Baroque and Renaissance architecture, it’s been a UNESCO World Heritage Site since 1992. Train and bus service from major cities is convenient, or if driving, there’s public parking just a 5-minute walk to the town center. Day-trippers from Prague and Danube River cruise passengers have made this a must excursion and with good reason. This small town has it all. But it’s worth much more than a day trip because it’s a sightseer’s and photographer’s dream, with incredible views, an enchanting castle, a towering Baroque church and narrow cobbled streets many of which still have centuries-old buildings still in use. There are hotels at all price points, shops galore with inexpensive souvenirs, and enough restaurants and cafes to give you plenty of choices to enjoy the local cuisine, wine, and beer. Weather permitting you can take a short boat ride on the river Vltava and stop at one of the riverside restaurants for lunch. After the crowds have gone, the beauty and quiet of the streets after sunset is enchanting. Two of the beautiful places to visit in Cesky Krumlov is the Old Town and the Castle Courtyards which you can visit by a walking tour. Tucked in at the heart of the Caribbean is the Dominican Republic sharing the island of Hispaniola with Haiti. The Dominican Republic is leading the sustainable tourism campaign within the Caribbean region. On my recent visit to Punta Cana, I have seen all the sustainable tourism projects of the Puntacana Foundation in rehabilitating the flora and fauna of the island as well as protecting the marine life. 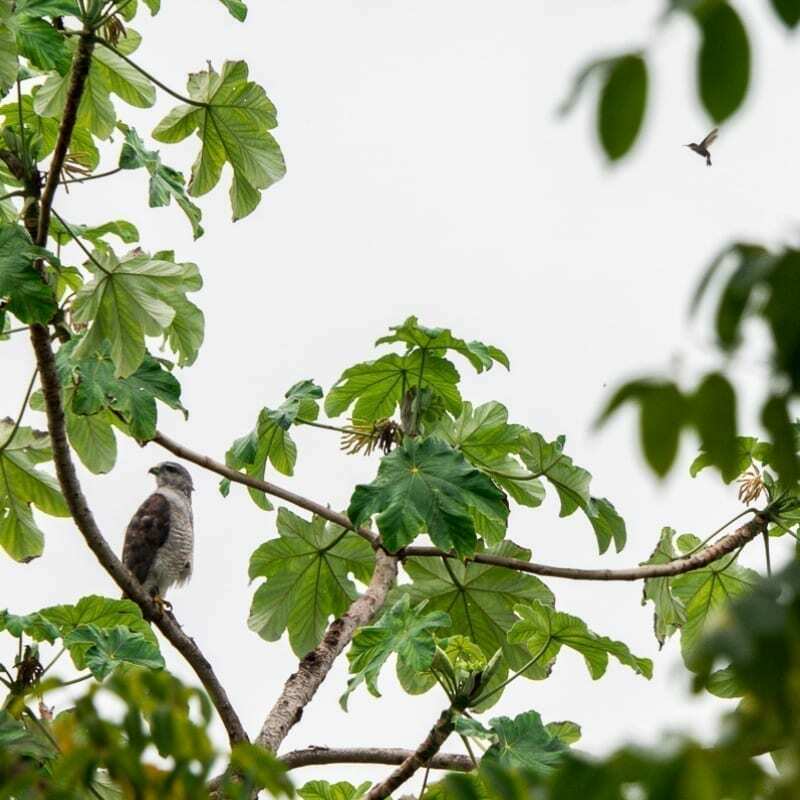 If you’re lucky, you might be able to glimpse on the beautiful endangered Ridgway’s hawk which can only be found on the Hispaniola island. The local food in the Dominican Republic is also amazing! You have to try the local ceviche, lobster and drink a shot of Mamajuana. If you are into sustainable travel, Punta Cana is more just your typical all-inclusive resort. Be one with nature and sea and you will definitely love this country. The Dominican Republic is one of the most beautiful places in the world. Visit the white sand beaches of Playa Blanca and visit the lagoons in the Ecological Reserve in a Polaris ZRZ buggy. Cosmopolitan, glamorous and futuristic are just a few words that can describe the exciting city of Dubai. 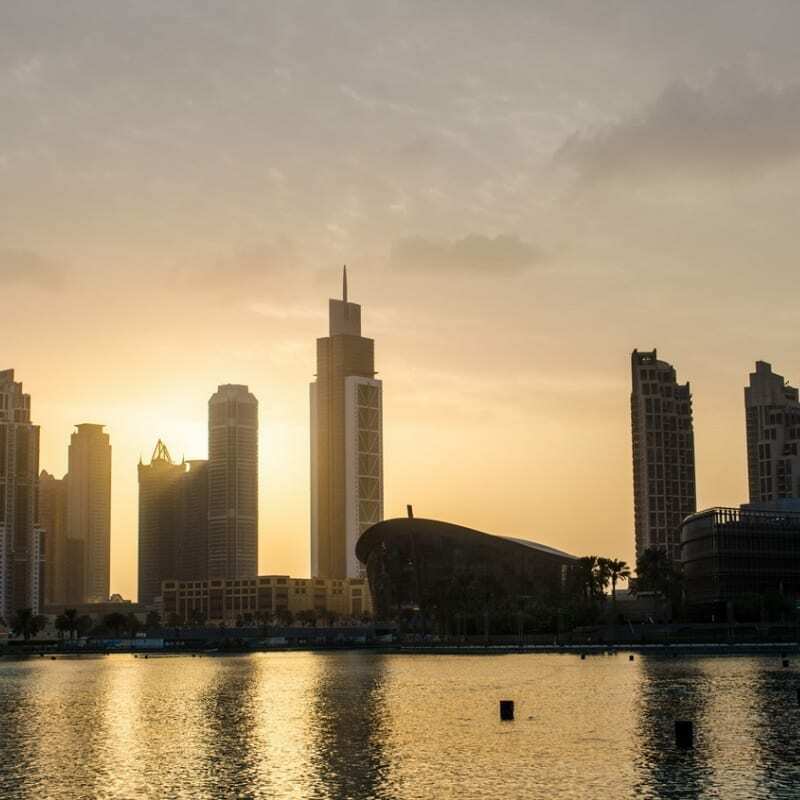 Dubai develops at a very fast pace and for those who have come here more than once, will realise that new projects are constantly being introduced. Thus visiting Dubai more than once has definitely become the norm, if you want to stay up to date with the latest trends. From the biggest malls to the tallest buildings and the most luxurious hotels in the world, Dubai really has it all. To enjoy spectacular views of the city head over to the Burj Khalifa, and even better opt for the sunrise tour which starts as early as 5.30 am. Definitely, a once in a lifetime experience. Join a safari desert tour and ride the sand dunes in a 4 x 4 jeep, followed by a camel ride and dinner with a show. Want to see how fun Dubai can be? Join a Friday brunch at one of the luxury hotels – you will be brunching on a totally different level. So who will be visiting Dubai in 2019? One of the best countries to visit and safest as well is Dubai. We have always wanted to take a Desert Safari that includes sand boarding, BBQ and a camel ride. “I love you, Finland” I whispered to myself while boarding the flight back home from Finland. Few days in the country and I fell hard and fast for it. There are umpteen reasons to love Finland and the Finns that are impossible to list out. Still, let me count the reasons – Cool Country. Cooler People. Coolest Architecture. Uber Cool Nature. Hip Café Culture. Hot Sauna. I can go on and on. 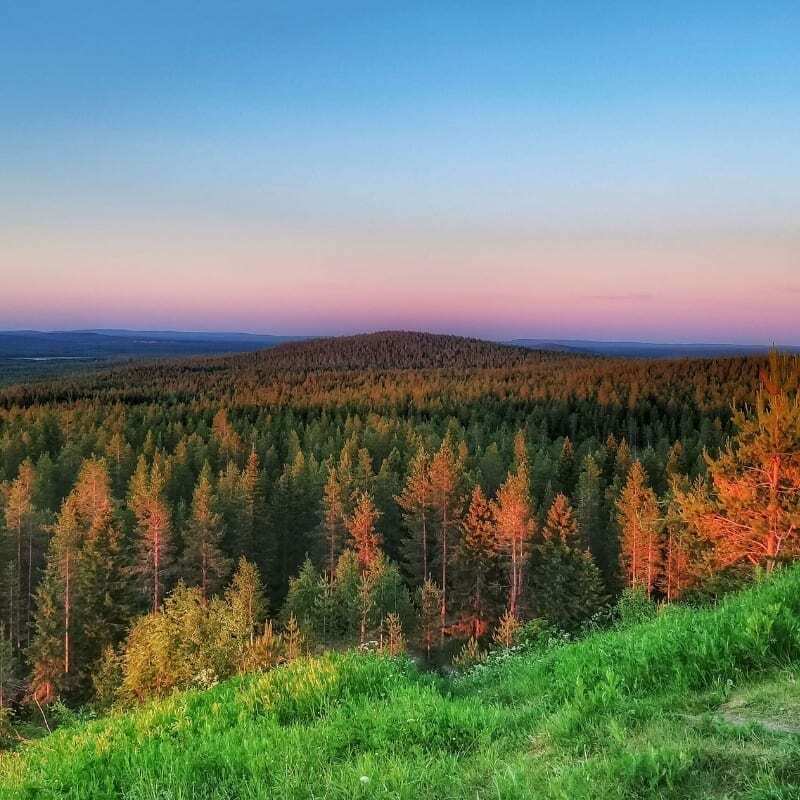 Finland is consecutively ranked as the happiest, safest and greenest country in the world. From vast forests, Arctic wilderness, thousands of islands, innumerable lakes, beaches to Midnight Sun and Northern Lights – Finland is beautiful beyond reason in every season. I’m sure you are convinced to take a trip to Finland. Oh, wait! Did I mention Santa lives in Finland? Yes! Rovaniemi in Finnish Lapland is the official hometown of Santa Claus. Isn’t it the one and the only reason your kids need to travel to Finland? Whenever you plan to go, prefer renting a car over public transport to feel the essence of the country. Buy The Helsinki Card to save time, money and hassle while exploring the Finnish Capital. One of the best places to visit for kids of all ages must be Rovaniemi to visit Santa Claus. This tour includes a visit to a reindeer and husky farm. Paris is always a good idea, and for sure travelers will choose Paris again as one of the top destinations in 2019. The city is full of history, interesting museums and art galleries, exclusive shops and couples will find the perfect romantic getaway for two in Paris. Why go to Paris? 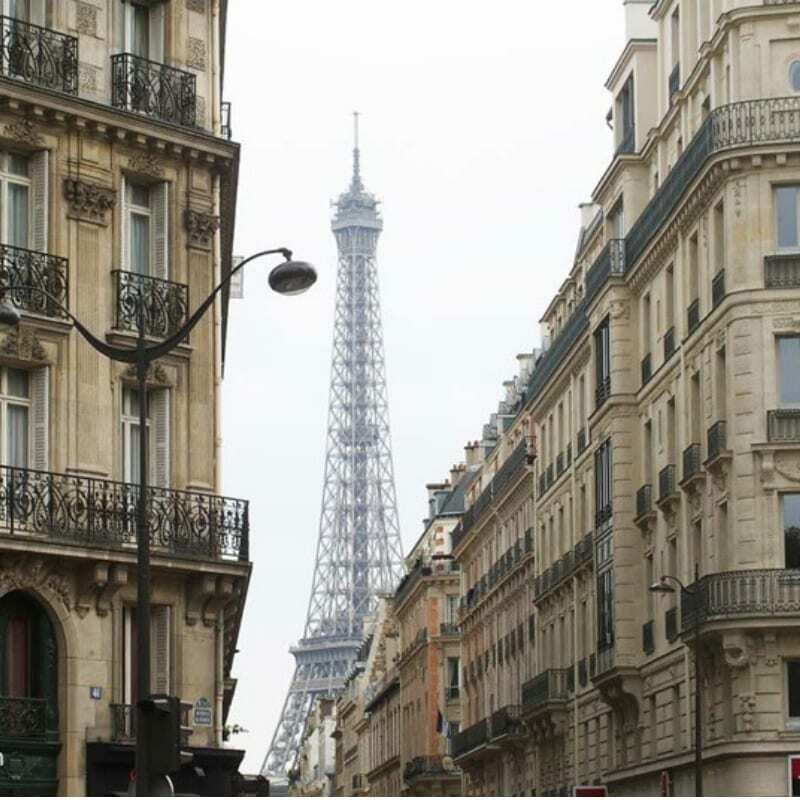 First timers will enjoy the city’s main sights, like the Eiffel Tower, Louvre Museum, Notre Dame Cathedral or just a stroll along the Seine River while frequent travelers will always find a new excuse to visit Paris again, like exploring lesser-known arrondissements of Paris or visiting the newest exhibition at l’Atelier des Lumières which opened only a few months ago. Don’t leave Paris without trying its delicious food: from cheap eats to Parisian bistros or Michelin starred restaurants there is something for every taste and budget! When to go to Paris? Spring and fall are our favorite seasons to visit Paris but the city always has something interesting to propose all the year round. One of the most romantic places to go on vacation is Paris. One of the most romantic things to do is to enjoy dinner at 58 Tour Eiffel that also includes priority lift tickets. Located in the Caucasus region, right in the middle between Europe and Asia, Georgia is one of the trendiest destinations you can visit in 2019. The country has lived through several invasions and civil wars during the last decades, but that’s now a thing of the past. Today, Georgia is a very safe country full of hospitable people. learning about the Georgian culture. 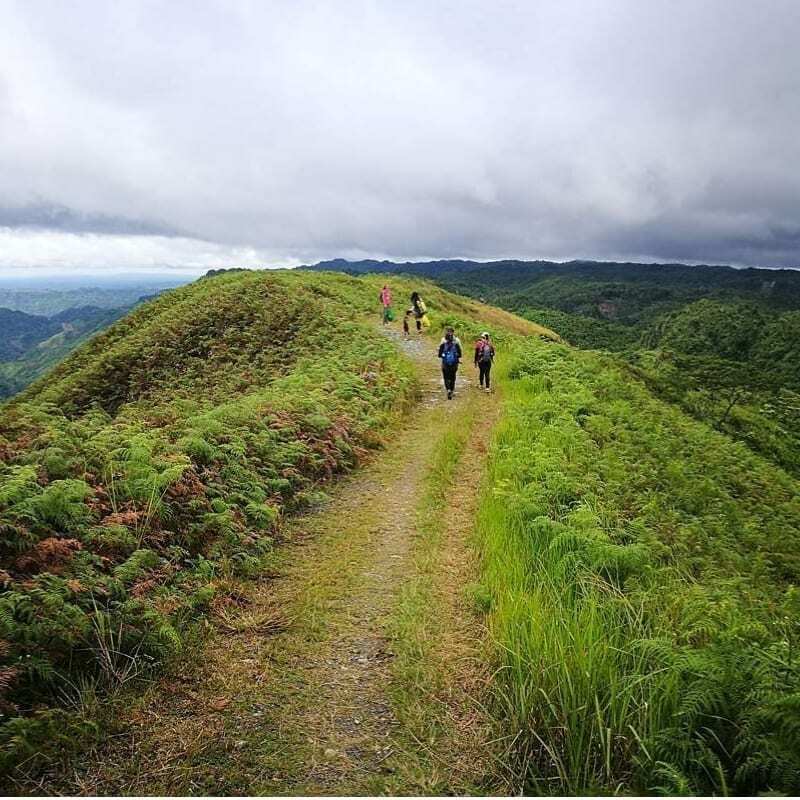 If you are into hiking, you’ll love this country because it offers hundreds of top-class hiking trails. 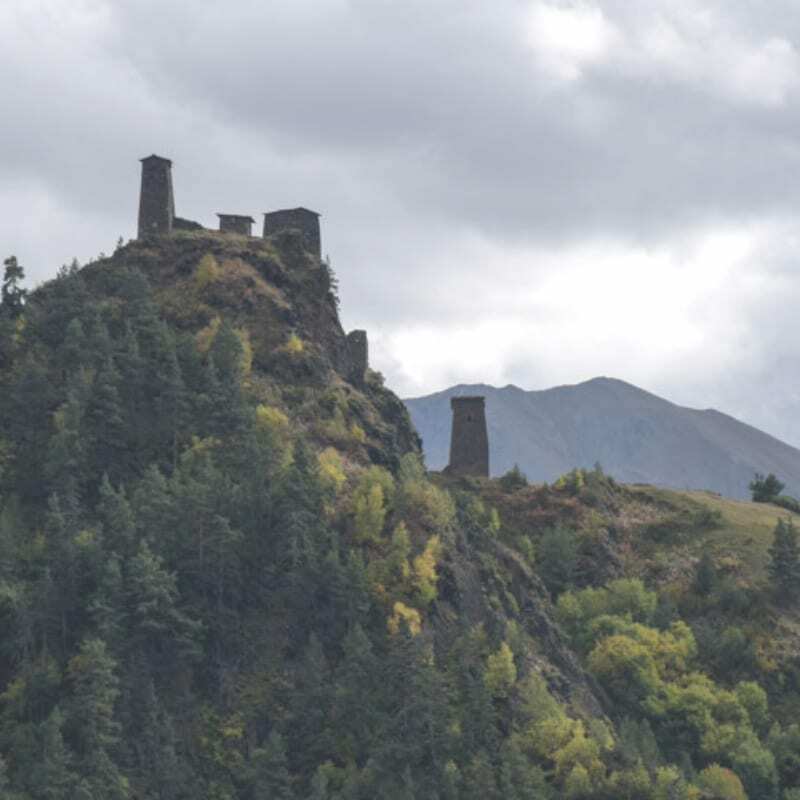 There are several popular hiking areas such as Svaneti, Kazbegi, Khevsureti and Tusheti (which is my favourite destination). Traveling to Tusheti is not easy, but if you get there, you’ll see that it was worth the effort. The local people are incredibly friendly. The mountains are beautiful and the medieval architecture of the villages are unique. I recommend that you hike the Omalo Loop. This trail will allow you to visit several traditional villages while you cross high-altitude passes and walk next to impressive peaks. A top travel adventure in winter would be hiking a snowshoe trail in the Caucasus Mountains for 2 days. When traveling to Germany, most people are looking for quaint towns with narrow cobblestoned streets, high stone walls, a few towers to climb, and great shopping and food. Well, that’s Rothenburg in a nutshell. This compact town is filled with half-timbered buildings sporting bright red gardenias in their window boxes. It’s an old medieval city, so it is completely surrounded by picturesque and fully functional walls and towers. It’s easy to meander around this charming town, then settle in for a great Bavarian meal with the perfect glass of wine. Rothenburg should be on your visit list in 2019. 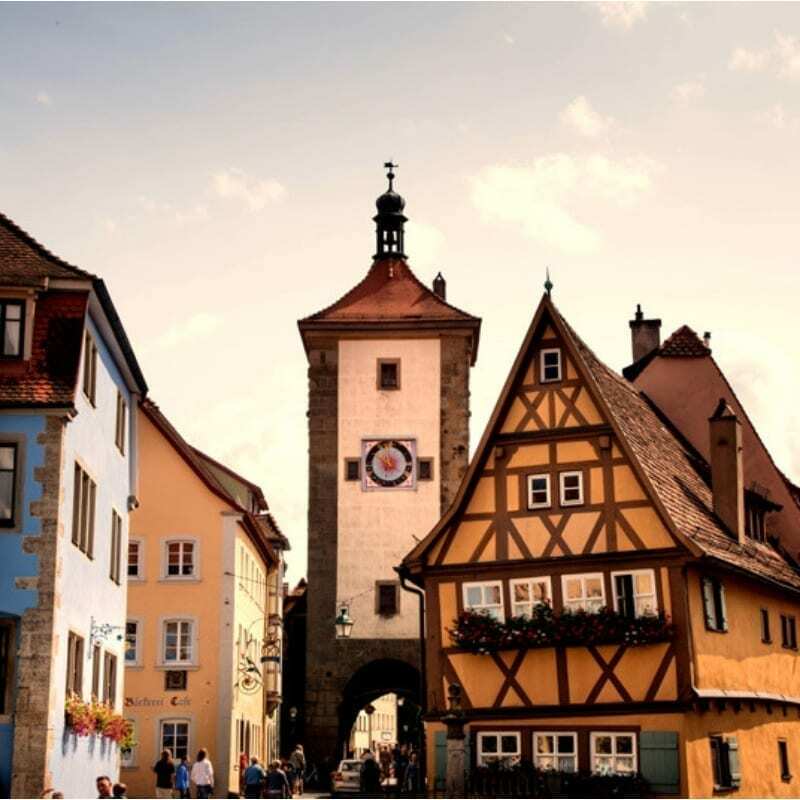 One of the best places to vacation in Germany is Rothenburg. The best way to see the city is to take a private walking tour. Greece is truly a worth visiting travel destination in 2019 due to its charming coastline, idyllic islands, historic cities, monasteries on cliff tops, culture and food. I recommend a combination of mainland and islands trip to Greece. It is an ancient historic city which has several UNESCO listed heritage sites. And you would get totally lost in historical Athens. A vibrant and lively Greek island which is also famous for its exotic beach parties. Mykonos has best beaches and a lovely maze of streets surrounded by white houses with blue doors. A volcanic island of Greece which is famous for its spectacular sunset. Here you can go for dips in volcanic springs or lie down on colored lava beaches. 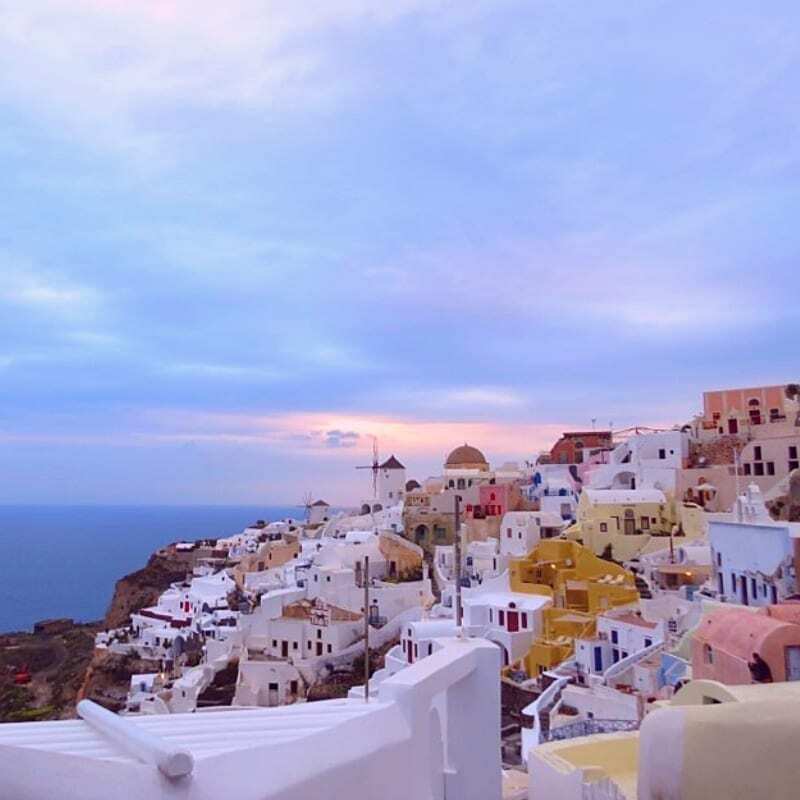 Take a street tour around the irregular dome-shaped white houses on the volcanic cliffs overlooking the Aegean Sea. Take a hike to Greek mountains to reach cliff top monasteries. These ancient monasteries are built on natural pillar rocks with stunning views of valleys. Tips for Greece – Greece is not all about islands, design your trip by combining it with some islands, historic cities on mainlands and some Hill-top towns. One of the best places to visit in Greece is Meteora. You can take a 4-hour tour of Meteora and the monasteries from Kalampaka. Adventure seekers looking for uncharted territory and plenty of exhilarating activities should travel to Guyana in 2019. With its diverse landscapes, you could be exploring the pristine rainforest one day and then deep in the exotic jungle the next. With plenty of natural wonders, as well as an array of wild animals, Guyana offers some amazing trips into nature. Navigate the wild open savannah on an ATV or 4×4, and camp under the stars in a hammock alongside the river at night. For those wanting to experience Guyanese cowboy life you can visit an authentic ranch and participate in the daily activities, like rounding up cattle and learning how to lasso. You can jump on a horse for an early morning ride and later watch the sunset drop behind the mountains from your trusty steed. In the capital, Georgetown, visit the local markets and sample some of the unique flavor combinations of Indian and Caribbean infusions. From the capital you can also charter a flight out to the incredible Kaieteur Falls, where an impressive 226 meter waterfall stands amongst a rainforest of lush green trees and flowing rivers. Some good vacation spots to visit in Guyana are the Kaieteur Falls and the Rupununi savanna’s from Georgetown. 2019 is the year to visit Budapest. Why? Because it has been the secret favorite of frequent Europe travelers. 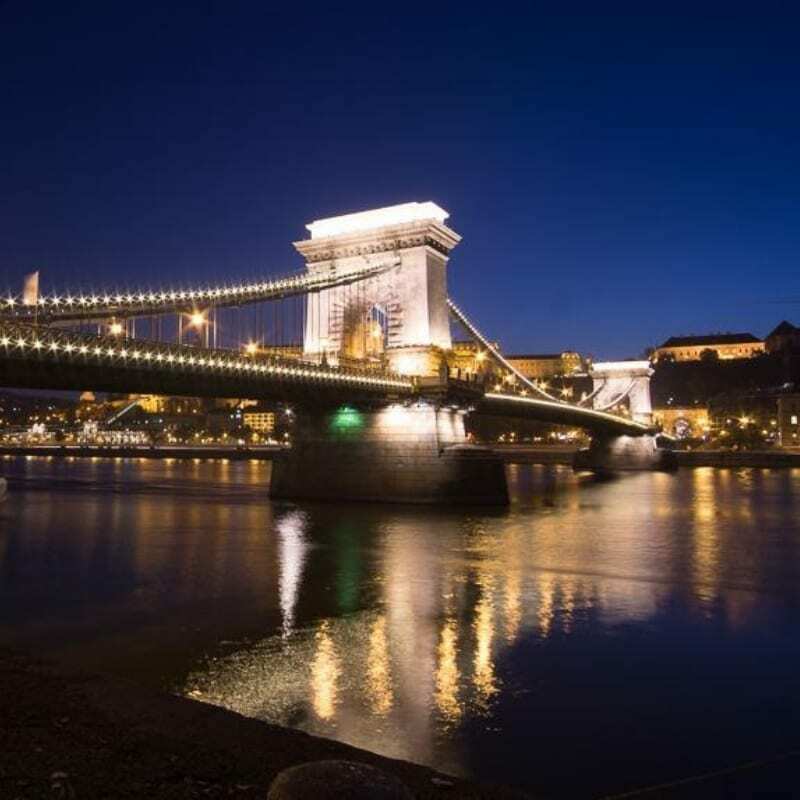 Whether it is a cruise on the Danube or a city trip, Budapest is becoming more and more popular. And no wonder why. Budapest is glamorous and beautiful, with an intriguing past, the food is amazing and the people are friendly. There is also a ton of fun things to do in the Hungarian capital and offers something for every taste and budget. Whether you want to party in the ruin pubs, explore historic monuments and buildings, or relax in one of the many baths, Budapest has got you covered. My number 1 tip for the city: Get on a bus, exit at a random stop and go explore. You will find fewer tourists, meet the locals and discover some hidden gems, whether it is a cute cafe, fun shops, or a nice park. Don’t rush it and only visit the top monuments in 2 days. Take your time and also experience the city itself and get a taste of the culture, the people and the local food. 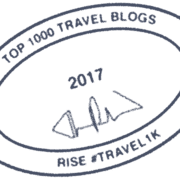 Wondering what to see, how to travel and where to travel to Budapest? The Budapest Card offers travel, museum and tour discounts even free transport that includes Budapest Airport. 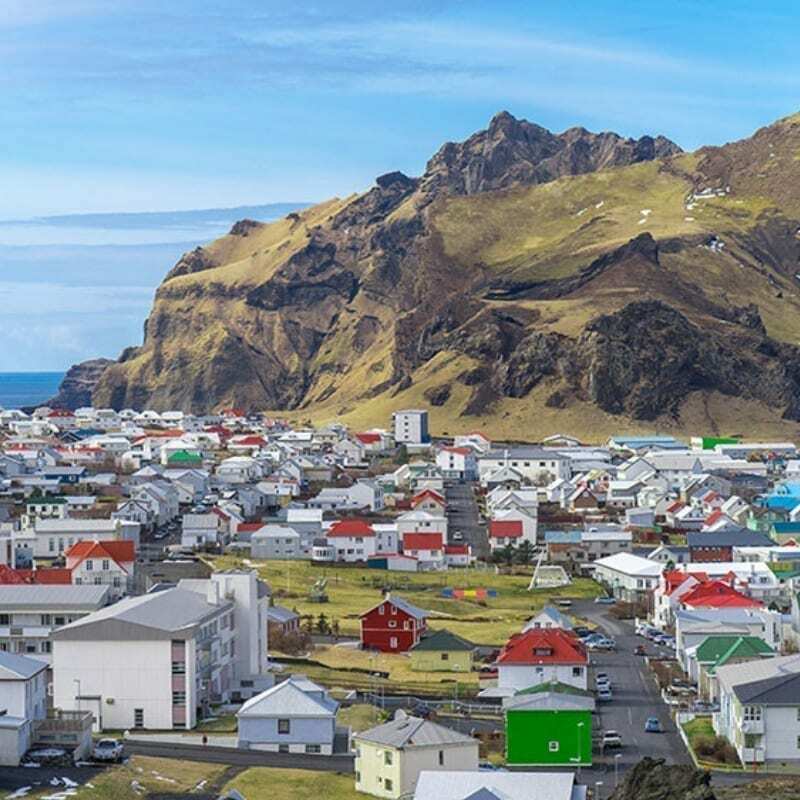 Iceland is my pick for the top destination in 2019. It is one of the most magnificent destinations I have ever been and unlike any place on Earth I have ever seen. The other-worldly landscape of this country is stunningly beautiful diverse. Iceland has so much to offer with massive waterfalls, northern lights, midnight sun, geothermal baths, wildlife, glaciers, mountains, volcanos, and of course the adorable Icelandic horses! Iceland is one of the cheapest European countries to travel to from the United States right now. Many visitors complain about the costliness the country, but you can definitely see Iceland on a budget. If you go to Iceland, be sure to take the ferry to the Westman Islands just to the south where you can drive to the center of the Eldfell Volcano, see puffins, and see mainland Iceland from the sea. Visit Iceland now in 2019 before it becomes too popular. My two best tips for visiting Iceland are to travel during the shoulder season, from April-May or September-October, when the weather will still be decent, but you’ll have fewer crowds, and to go somewhere else besides the Golden Circle. While it is amazing, there are so many other interesting places to see in Iceland. Why not visit the top vacation spot that includes, a glacier snout, waterfalls and beaches in the South of Iceland? Home to almost a billion people of many religions & cultures, India is an adventure you should take this year. Be it the idyllic Taj Mahal, the Himalayas or the beaches, India proffers something for everyone. With the hype over the Taj & Kerela’s backwaters, most parts of the country are often over-shadowed. The chaos & cultural diversity of India demands time and which is why I recommend my top picks for 2019. The capital of India since our independence & also the historic capital for many centuries, Delhi has a lot to offer. The monuments dating back to the third century, the Mughal empire and even the British influence are like hidden in plain sight here. Tourists often use Delhi as a pit stop for making way to the Taj, but I suggest spending a few days in the city. Soak in the chaos of the Old Delhi in the cramped lanes of Chandni Chowk while relishing some of the best street food in the country. And, no, I’m not exaggerating! Take a heritage tour starting with the Qutub Minar, Humayun’s Tomb & lesser known Safdarjung Tomb. Finally, drive in the manicured roads of the Lutyens, India & get lost in the Connaught Place to get a hint of the British sway. The foothills of the Himalayas, this state caught the attention of the British rulers as well. The hill stations like Manali & Shimla are popular with locals but the real beauty of the mountains is in the upper regions of Spiti, Sangla, and Kaza. Take the Volvo bus or hire a cab to enjoy the beauty of the snow-capped mountains, and you wouldn’t come back disappointed. The star gazing in Spiti, dangerous roads of Kinnaur & the border of Chitkul touching Tibet will give you a lifetime of memories. 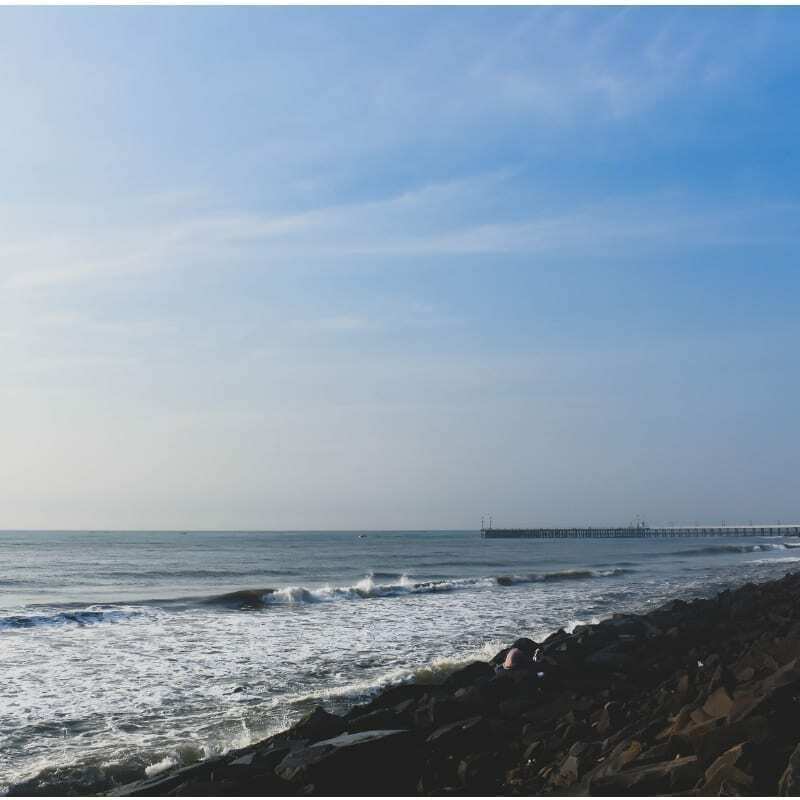 If the tranquil beaches & quaint towns cover your fantasy for a perfect vacation, then Pondicherry is your answer. The city once ruled by French still has a vivid influence of France. Pondicherry has intricate & colourful churches, pastel White Town, a rocky beach and the most authentic French food in the country. Yet if all of this leaves you with some time, head to nearby beaches & backwaters a bit out of the town. Also, the nearby Auroville is an experimental township for humanity which shouldn’t be missed during a trip to “Pondy”. One of the cool places to go in Pondicherry would be the back streets on a Pondicherry Food Trail tasting local delicacies. A perfect destination to quench your spiritual appetite in 2019 is the Char Dham Yatra in India. Established meticulously by Adi Shankaracharya in the four corners of the country, the coveted pilgrimage circuit is a journey through the four abodes or seats of God namely – Badrinath in the north, Dwarka in the west, Rameshwaram to the south and Puri towards the east – a rare spiritual integration that has intrigued and mesmerized pilgrims all over the world through the ages. The faith of the practicing Hindu devouts here is as strong as the belief which says that one who completes it is freed from all the sins and is granted moksha or salvation in the lifetime. One top tip: the coveted pilgrimage circuit, since it is spread in the four corners of the country, is not so easy to cover in one single go. However, there is another Hindu pilgrimage trail situated in the Garhwal Himalayas in the state of Uttarakhand known as the ‘Chota Char Dham’ (small four abodes) which can all be covered in a minimum of 10-15 days by road. One of the top places to visit is Char Dham Yatra. There is a tour available from Delhi for 15 days. This year do not miss Bali as a top destination to travel to. Bali has something for everyone, from the beaches and resorts of the south to the gorgeous rice paddies surrounding Ubud. There is a huge range of accommodation for every budget and the hotspot of Canggu has new restaurants opening every day. But my number 1 tip is to bypass the tourist destinations, get out and explore the real Bali. The island may seem small but tourists really only see such a tiny part of the island of gods. The hills of Sidemen in the east, black sand beaches of the west, Pemuteran Bay in the north, here you will find spectacular views and very few tourists. You will be immersed in the Balinese culture, witness traditional farming methods and explore untouched beaches. 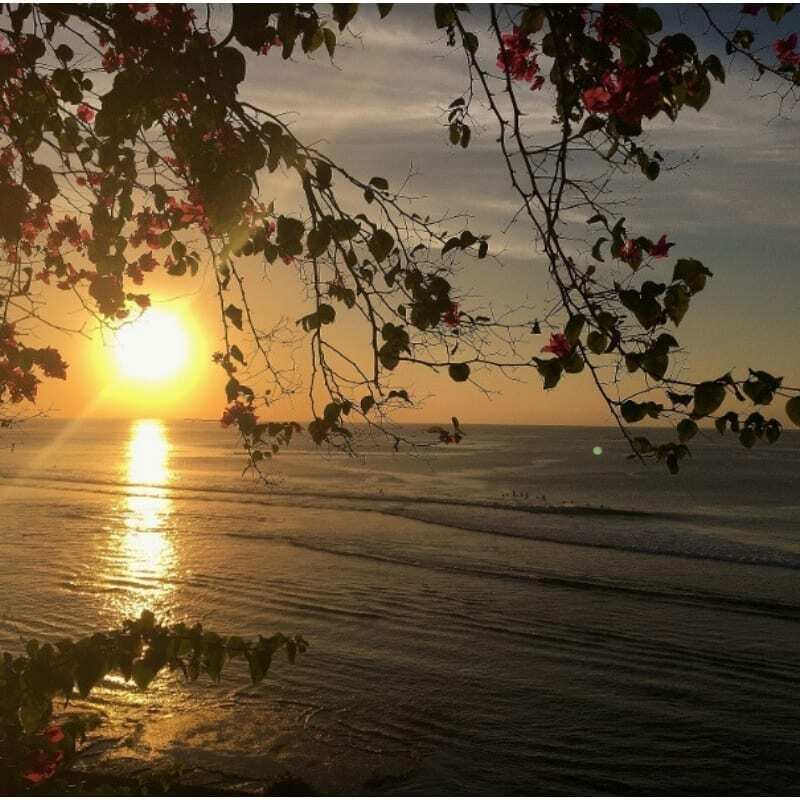 Bali really does have something for everyone, a truly memorable experience is waiting for those that wish to find it. One of the best vacation spots in the world is Bali. A great way to see the rice field terraces, water temples around Ubud and Mt Batur is via a private customised day tour. Italy is an amazing destination for any 2019 traveler because of its history, art, architecture and food. 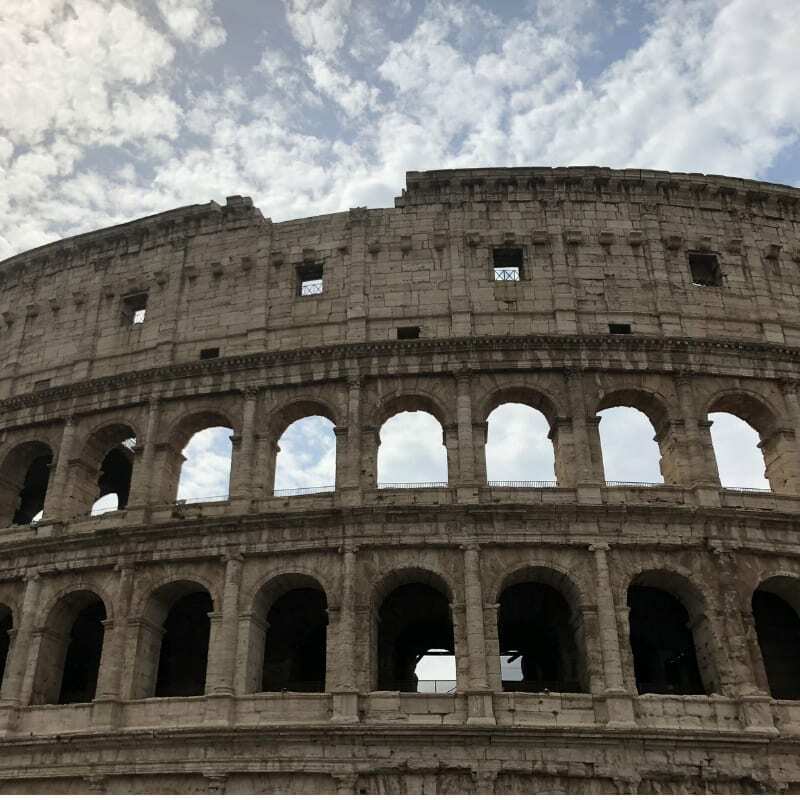 Our family’s most recent trip included the common Italy tour stops – Venice, Florence and Rome and definitely recommend this “best of Italy” itinerary to any Italian tourist. We started by exploring Venice’s canals and taking an unforgettable gondola ride with views of the Rialto Bridge. My kids chased pigeons in St. Mark’s Square and marveled over the mosaic floors of St. Mark’s Basilica. We explored the Doge’s Palace and took the Bridge of Sighs to the former prison. Our tour continued in Florence where we visited the Duomo, Ponto Vecchio and the Boboli Gardens before heading to the center of Roman civilization, Rome. During our few days in Rome, we meandered through the Forum and into the Colosseum and stood in the beam of light shining through the 2,000-year-old Pantheon. Our visit to the Vatican Museums, Sistine Chapel and St. Peter’s Basilica were unforgettable. We now have a new understanding of European history. In each city, we made sure to sample local cuisine. Now, even the mention of Italy brings a happy smile to each of our faces. We can’t wait to go back. Bring an anti-theft bag – these are some of the world’s most popular destinations for pickpockets. One of the top 10 places to visit in Florence is the Duomo. There are always queues but you can now purchase online the Florence Dome Climb 1 hour Priority Entrance Ticket. Japan is my top destination for 2019 as there will be The Rugby World Cup between September 20 and November 2. This monumental event will bring together many nations of the world, to crown the Rugby World Champion. You should plan at least a 14 days trip to Japan to see the highlights of this amazing country, especially if you also want to attend a few matches of the Rugby World Cup! From September to November, in fact, Japan is absolutely amazing thanks to the Fall foliage! So if you feel like getting away from the busy Tokyo streets, treat yourself to a ride on the Sagano Scenic Railway. It’s the local’s favorite to enjoy “koyo”, which indicates enjoying the Fall colors in Japanese. You can hop on a Sagano Scenic Railway train as a day trip from Kyoto: it will be breathtaking and very romantic! If it isn’t enough, let me tell you that Autumn treats in Japan are absolutely delicious! From Kuri Dorayaki filled with roasted chestnut to Momiji Manju from Miyajima, to freshly made mochi sweets: there’s something for everyone! One of the cool places to visit in Japan is Kyoto. 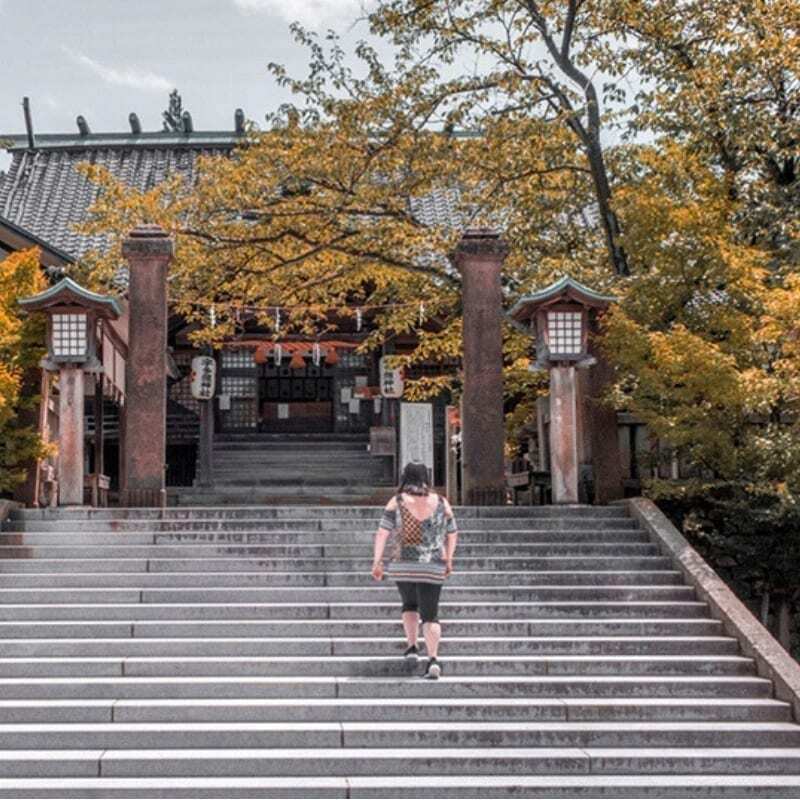 Whilst there a 2 hour small group walking tour visiting temples and learning the history of Kyoto would be a fun tour to do. The time is perfect for a visit to Jordan in 2019. With things in the region now settling down, tourism is again on the increase in Jordan, but you want to get in quick before the world realises just what a little gem this country is. 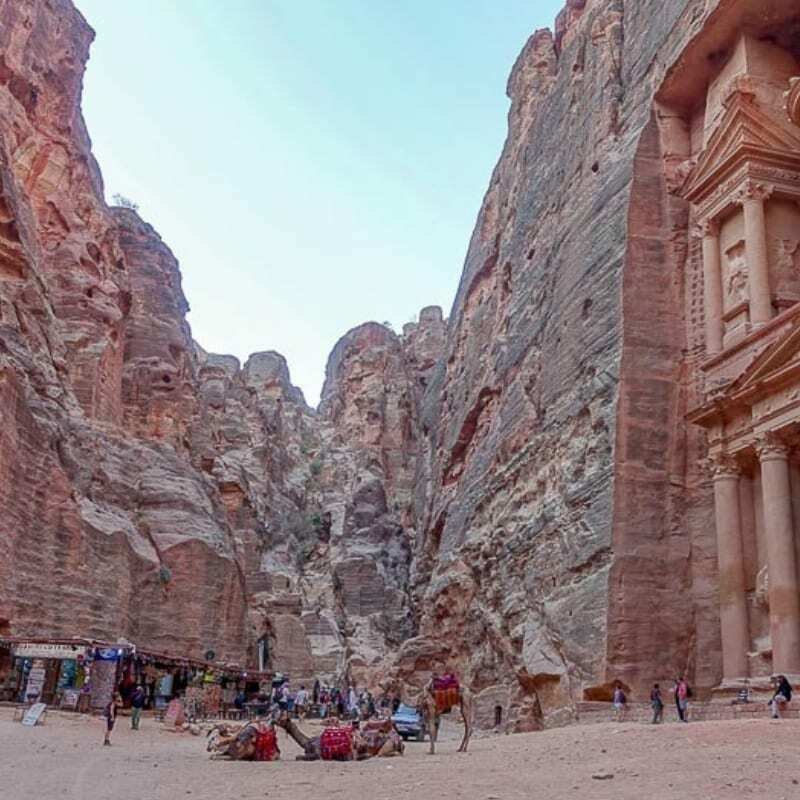 For a small country, it packs a big punch with its main drawcard being Petra, one of the 7 new wonders of the world. Walk in the footsteps of Indiana Jones in The Treasury made famous in the movies. While in Jordan you must also visit the desert, with an overnight stay in a Bedouin camp in the spectacular Wadi Rum. Next up on your itinerary should be floating in the Dead Sea, an absolutely surreal experience. Visit Mount Nebo, the location Moses stood as he surveyed the horizon and pointed out the Promised Land to his followers. Visit Roman ruins at Jerash, some of the best preserved anywhere. Finally Amman, with its citadel and amphitheatre, amazing food and big city lifestyle. This country really does have a bit of everything. Jordan is one of the best places to travel in the world. A 4 day tour is available that covers Amman, Petra and Jerash by a private car and driver. 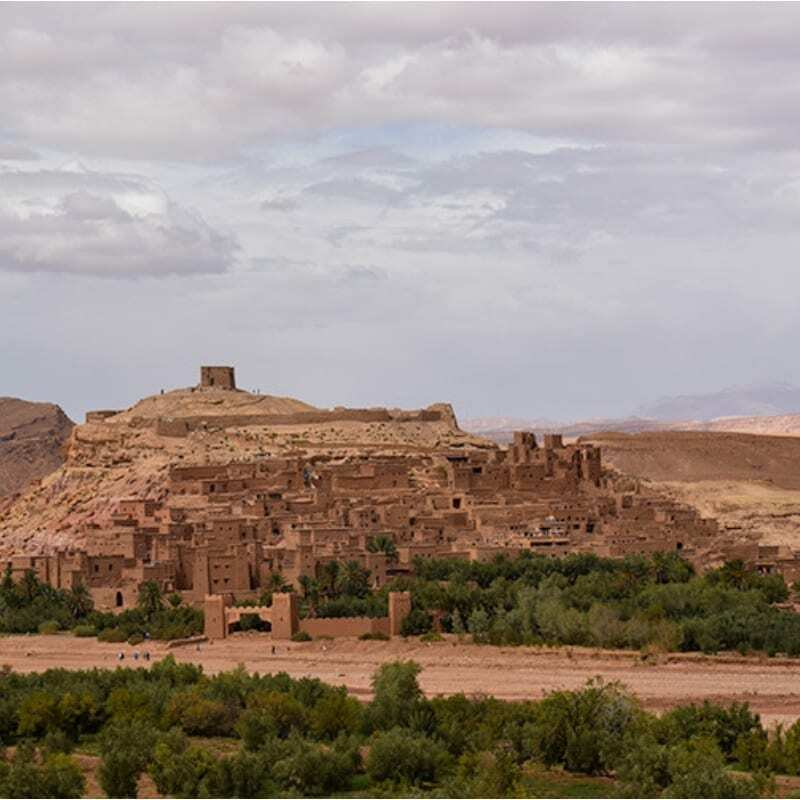 If you are a keen traveller and plan to see more of the world in 2019, Morocco might be on your bucket list or is it a distant dream? There are a few things to consider in order to make Morocco a key destination in your 2019 travel plans. Morocco is a unique yet diverse destination. My best tip is to do some preparation, and Morocco will be suitable for all ages and all travellers’ groups. Whether you travel solo, as a couple or as a family, Morocco has the power to entertain you and even bewitch you. From desert to snowy mountains, surfing beaches to bustling markets, Morocco has a unique culture and atmosphere. Once you get comfortable with some of the local ways, you will be able to appreciate Morocco’s long history, stunning scenery and delicious food. Morocco is a feast for the senses, with bright colours, powerful scents and friendly locals. In 2019, Morocco is quite easy to get around, with an upgraded road network and even new trains. In order to have a successful trip to Morocco, I recommend planning and booking a few places in advance, and leaving the rest to your fancy. In 2019, Morocco needn’t be a distant dream but should be on your travel bucket list! One of the places to see in Morocco is the Fez Medina. For 4 hours you can enjoy a guided tour through the maze of streets inside the Medina. Myanmar is one such Southeast Asian country that is stunningly beautiful, less touristy and full of smiling and helpful people. 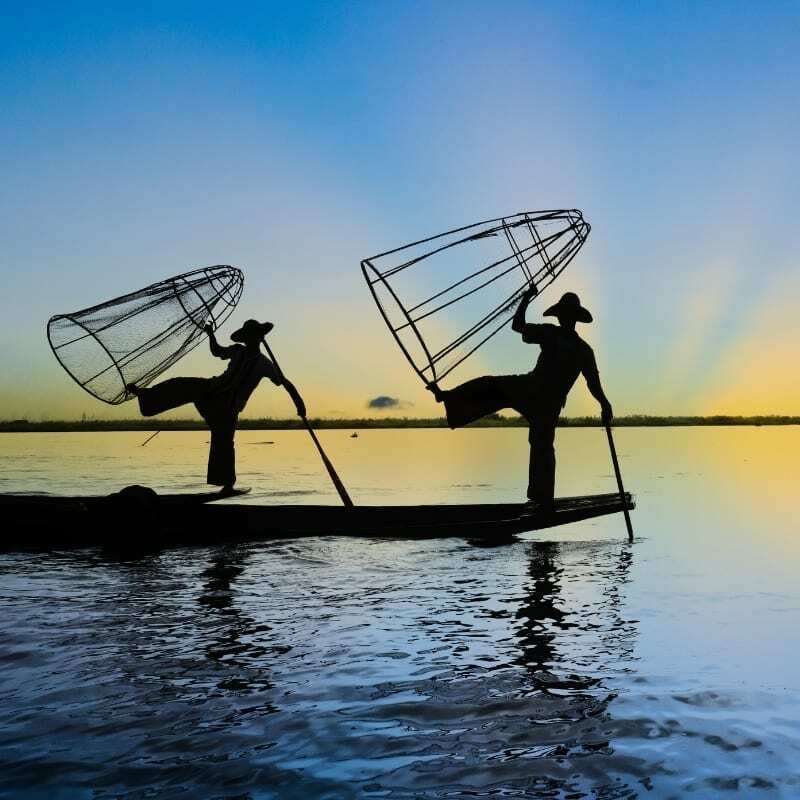 With breathtaking landscapes, impressive pagodas, lakes and floating villages, Myanmar is one of the most culturally exciting destinations of Southeast Asia. Myanmar had since long been a pariah state because of its military rule and very few people visited the country. But since the liberalization of the state from 2010, Myanmar is attracting tourists and is perfectly a safe place to visit. While Bagan is the land of numerous pagodas, Inle is known for its serene lake and picturesque floating villages. Yangon is the commercial hub of the country and is one of the busiest cities and Mandalay is old city of the kings. And for the beach bums, there is Ngapali Beach. Myanmar is good for slow travel as the country gradually grows into you. Travel Tips: We found Bagan to be most culturally stimulating and beautiful. Just rent an e-bike at Bagan and even at Inle and explore the place at your own pace. Most of the hotels and hostels provide free guides for a tour in Bagan. There are free walking tours at Yangon as well. You can avail these free tours. It would help if you know a few Burmese words while in Myanmar. Bagan is one of the beautiful places to travel to in Myanmar. One of our fun things to do was a tour by horse and cart around the Temples. Nepal is as active and vibrant as ever, despite the devastating earthquake in 2015. Now more than ever, your tourism dollars will help with the restoration of historical landmarks, and supporting local family businesses. Nepali’s are resilient, with a positive outlook on life despite immense loss and hardship following the quake. At this time in the world, Nepal is a great example of tolerance with over 139 ethnic groups and castes, including distinct Hindu, Buddhist, Newari, and Tibetan customs and rituals which all coexist with respect and harmony. Nepali’s are warm and welcoming, who often stop travelers to talk while wanting nothing in return. 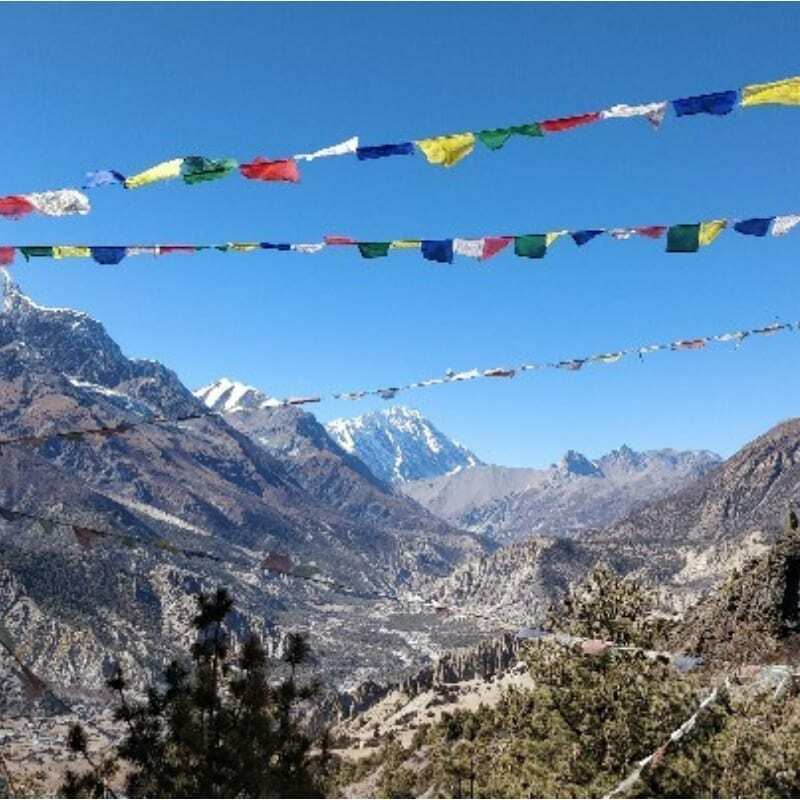 A visit to Nepal is not only inexpensive, but it is not complete without at least a hike in the Himalayas for some of the most scenic, natural beauty, followed by a douse of history and cultural education. Our top destinations include the Annapurna circuit trek, and Pokhara for food, shopping, and lakeside relaxation. Include a visit to Bandipur for short nature hikes and traditional town living, and Lumbini to see the birthplace of Buddha. Visit Bhaktapur for incredible 14th – 17th-century architecture, and a quick visit to Kathmandu for its famous temples, food and nightlife scene in the Thamel district. Nepal is one of the top places to visit in the world. While you are in Kathmandu you can take a 6 hour day tour by private car. I highly recommend a visit to New Zealand’s South Island in 2019. New Zealand is one of the most beautiful countries I have ever been lucky enough to visit. Much of its beauty is concentrated on the South Island where snow-capped mountains meet glacial lakes and majestic fjords. The South Island is also renowned for its famous walking tracks, its adventure activities and wildlife spotting opportunities. You can swim with seals, spot whales, dolphins, yellow-eyed penguins and if you’re lucky, spot the native kiwi birds! One of my absolute favourite things to do in New Zealand was talking a heli-hike on Franz Josef Glacier. We were whisked off in a helicopter for an exhilarating bird’s eye view before spending a few hours exploring ice tunnels and formations fitted out with our crampons and ice picks. The reason you need to visit New Zealand in 2019 is that these glaciers are actually melting and the glaciers may not be accessible in a few years to come. So visit now whilst you can! I’d recommend hiring a campervan for your New Zealand South Island road trip – there’s nothing better than stumbling across a stunning view and parking up for a spontaneous picnic! New Zealand is one of the most beautiful countries to visit. 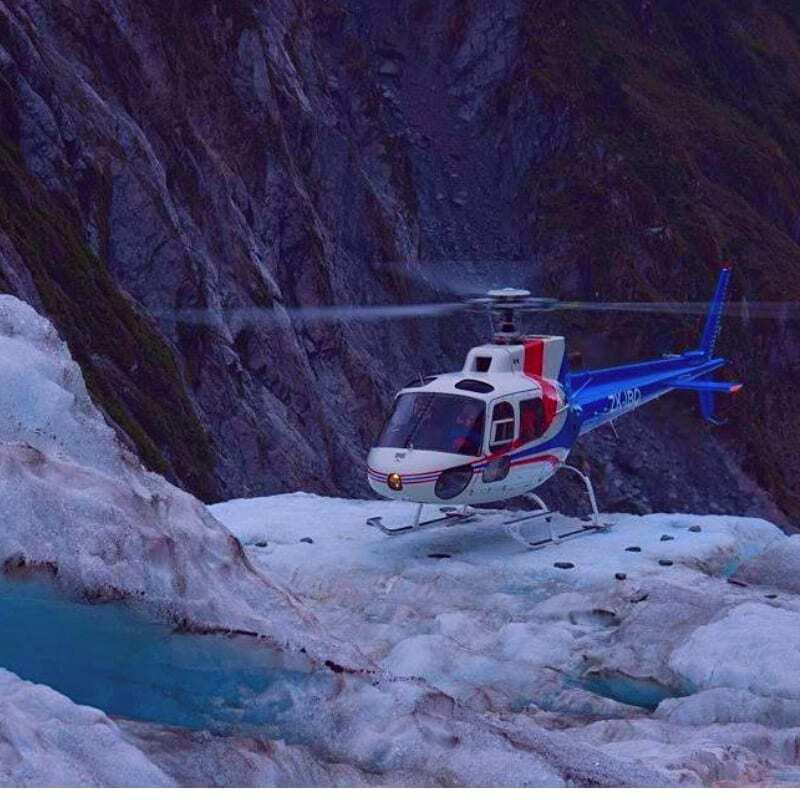 A tour to the Franz Joseph and Fox Glaciers by helicopter with a snow landing would certainly be one of our bucket list items. The thrill of seeing the northern lights in Norway is not so much the sight itself, but the thrill of the hunt. Dressing up in more layers of clothing you ever thought possible, heading out into the wilderness, and then the waiting begins. After an hour something catches your eye. Is that a cloud? It just changed shape! It’s the lights! But a tinge of disappointment washes over you as it’s not the intense colour you had expected. Half an hour later, an arrow of green shoots across the sky, blink and you missed it. Another hour later and you’re just about to give up, when the silent explosion hits. Vivid green curtains of light suddenly dance and leap across the night sky, like children playing with ribbons. It’s no wonder the indigenous northerners used to believe these were spirits. And then everything goes still. If you think you don’t need to see the lights because you’ve seen awesome photos and time-lapse videos, think again. To increase your chances of a good sighting, head north of the Arctic circle and away from the cities. There’ll be less cloud cover inland, but the temperatures will be much lower. Top Tip: Download an app to check the ‘space weather’ forecast, and enjoy the hunt! One of the best places to visit in Norway to see the Northern Lights is from Tromso. 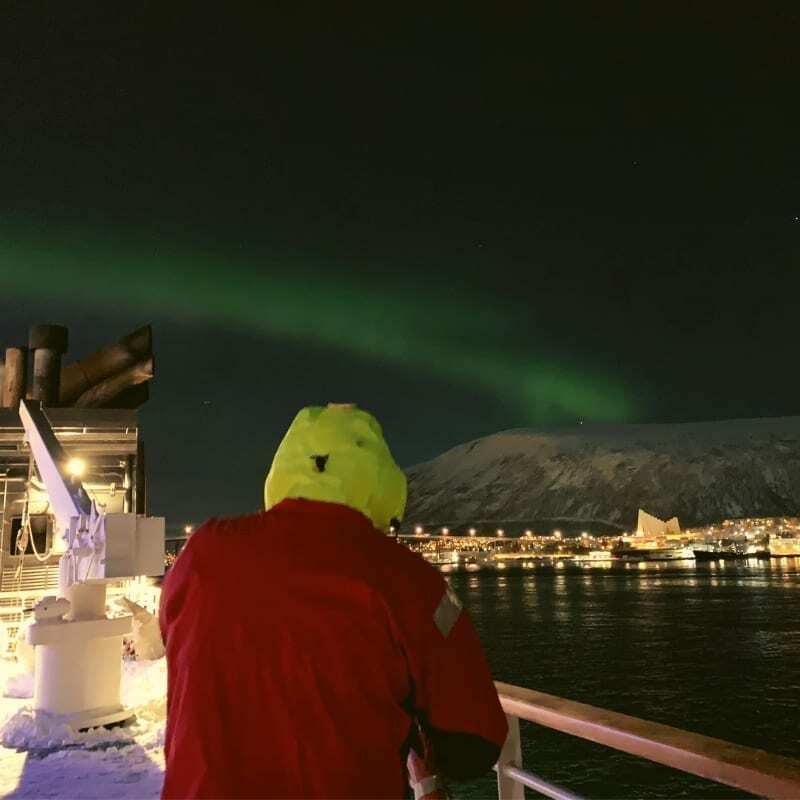 You can take a tour from Tromso with a professional photographer to see the lights. The tour includes enjoying a hot meal and drinks beside a bonfire. With an infinite number of breathtaking landscapes and a well-preserved cultural heritage, Oman makes for a wonderful addition to any 2019 travel wish list. Safe and more accessible to tourists than ever before, now is a great time to experience this gem of the Middle East. Another big plus: Oman can be very budget-friendly, provided you plan ahead. The best way to explore Oman is with your own two wheels. You should begin your journey in Muscat, the capital. Home to the thronging Muttrah Souq, an atmospheric corniche and the stunning Sultan Qaboos Grand Mosque, it’s the perfect place to get a feel for Omani culture. Next, hit the coastal road, stopping off at wadis and sinkholes along the way. In the town of Sur, you can still see dhow boats being made on the shore. The nearby Ras al Jinz Turtle Reserve is one of the only places on Earth where turtles can be observed nesting year-round. 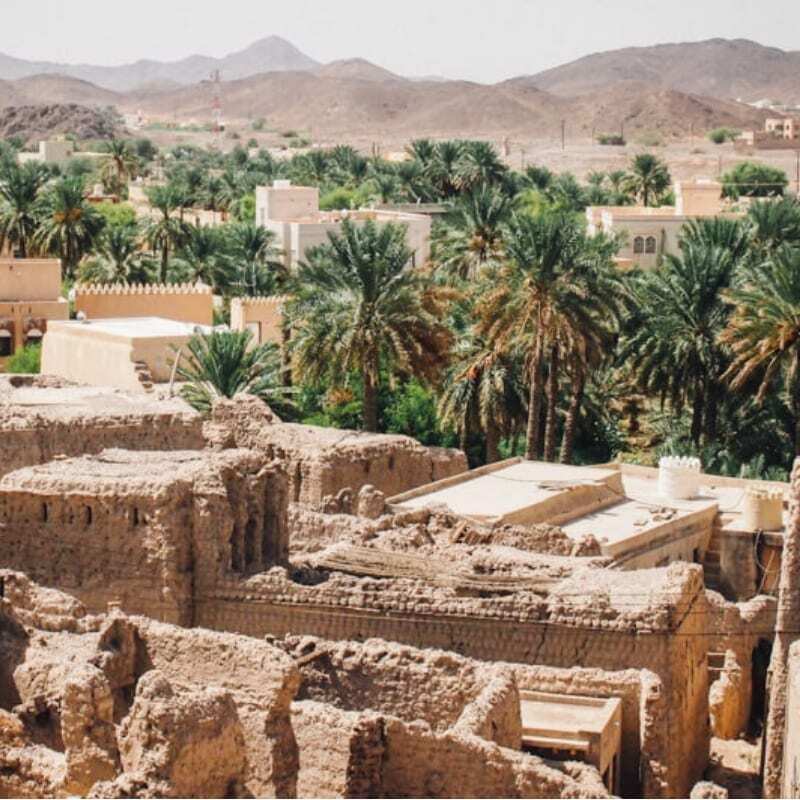 Nizwa in Oman’s desert interior is another must-see. Known for its incredible sand-coloured cylindrical fort and adjoining souk – which happens to be my favourite marketplace in the country – Nizwa is an interesting contrast to Muscat. Oman is becoming one of the top travel destinations to visit in 2019. You can now enjoy a full day tour to Nizwa from Muscat. If there’s one place you should consider going to in 2019 is…drumroll…PAKISTAN! Yes, you read it right: once the jewel in the overland routes between Europe and India, Pakistan’s tourism slowed to a crawl and then to a halt in the years following 9/11. But the security situation has improved tremendously in recent years, and from 2019, tourists from 55 nations will be able to receive visas on arrival when traveling with local, government-approved operators. As a first-time visitor, you should consider Lahore, Pakistan’s prime cultural and heritage city, and the main center of Punjab. Lahore’s Old Town is a maze of tiny alleys filled to the brim with sellers, street markets at every corner, and more motorcycles than you’ll ever see anywhere else in the world. You should definitely visit Lahore’s Fort, a UNESCO World Heritage Site; the Wazir Khan Mosque, with its intimate, well-landscaped inner courtyard; and then reserve a few hours to experience the beauty of the Badshahi Mosque, one of the world’s biggest. After a couple days in Lahore, proceed northwest to Pakistan’s capital Islamabad, a beautiful, green and modern city that eschews the definitions of “South Asian” metropolis thanks to its well-planned, grid-like foundations laid in the 1950s. The Faisal Mosque, set on the backdrop of the Margalla Hills, is uniquely shaped as a Bedouin tent, and beautifully lit up at sunset. A visit here can be completed with a trip to nearby Monal, one of Islamabad’s best restaurants, with amazing views over the city and the valley it dominates. From Islamabad, you should reserve at least a week to travel up the Karakoram Highway, a 1300-km long road connecting Islamabad’s outskirts with China’s Kashgar in Xinjiang province. The Karakoram Highway’s best stretches extend across Gilgit-Baltistan, Pakistan’s northernmost region. You can take public transport to Gilgit, the area’s main hub, and continue up to Sost and the Khunjerab pass, the world’s highest land border, using public mini-vans and taxis. 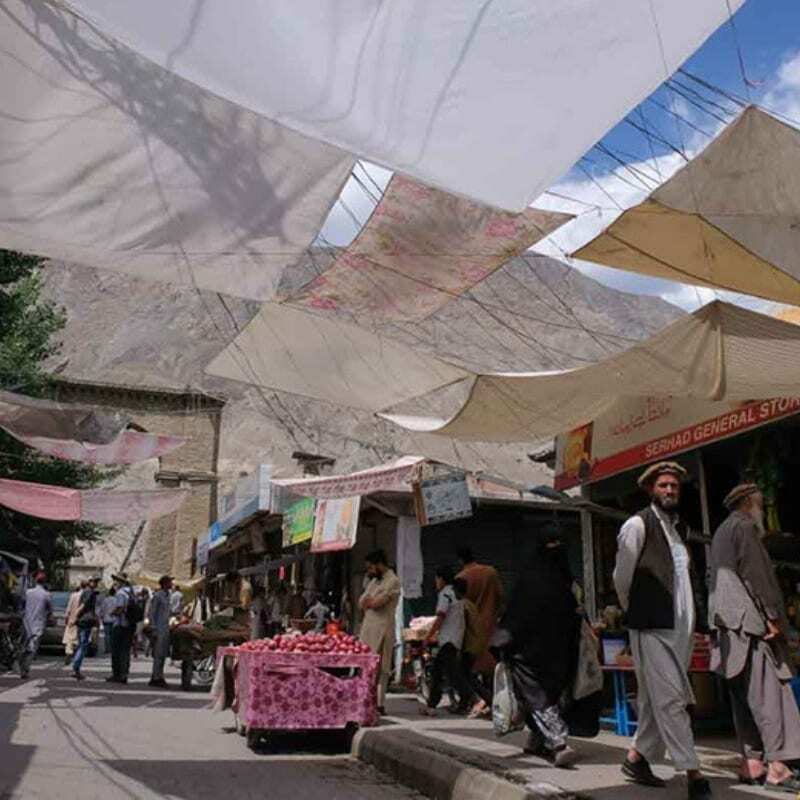 For less independent travelers, most Pakistan tour operators organize guided tours along the Karakoram Highway: popular stops include Karimabad with its two UNESCO-inscribed ancient fortresses, azure Attabad Lake, and Passu village, with its unique “cathedrals” – a series of huge, sharp and tree-less mountains that resemble a moonscape. For adventurers, its’ also possible to travel the Karakoram Highway by motorbike stopping at leisure and exploring the side valleys, such as 3100mt-high Shimshal village. Go to Pakistan now before the hordes discover it’s safer than ever, and you’ll have one of the best adventures of your lifetime. Pakistan is becoming one of the unique places in the world to visit. There is a 2 day Love of Islamabad tour visiting hill stations and lakes. Peru is obviously on most traveller’s list and this is why you should visit this country in 2019. 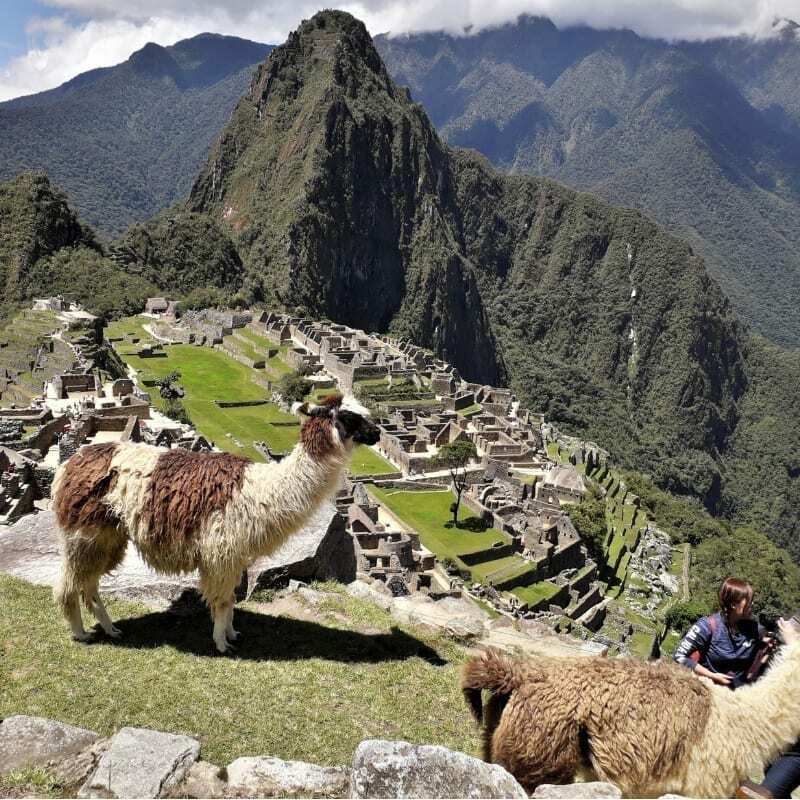 Machu Picchu, the most popular destination in South America has attracted too many visitors, UNESCO took an action and had an agreement with the Peruvian government to have a daily visitor cap in Machu Picchu and the hiking trails. We don’t know how long this place will be open for tourists if you can spare the time and money this is the right moment to hop on the plane and see the beauty of Machu Picchu right before your eyes. Another reason is how many incredible places and exciting activities you can do in Peru. 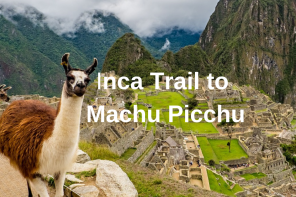 From very blue lakes with snow top mountains, hiking for days, sand boarding, riding an ATV, singing with a local, see an Alpaca and Llama up close and most importantly, get to know that Inca Empire history and meet the Peruvians in person. My greatest tip is to book the Machu Picchu hike and ticket in advance (at least 3 months if you are going during the peak season) and make sure you have at least 3 weeks on your calendar to explore this mountainous and stunning country. Peru is one of the top 10 places to visit in the world. Machu Picchu is a must for every traveller. You can now purchase a ‘skip the line’ ticket in advance and avoid the queues. Choose either a morning or afternoon session. The Philippines has more than 7,500 islands that you can visit and I may be biased to say that Cebu is my TOP favorite destination in the country (because I’ve lived here all my life). Why should travellers come and visit our island in 2019? Aside from the laidback atmosphere, Cebu is great for those wanting to experience mountains, city and sea in just a matter of hours. A good 3-day itinerary should be enough to let you explore its historical sites, its highland attractions complete with a breathtaking 180-degree view of the island, and its beautiful blue waters. You can also choose to go hiking and camping in the mountains (our favorite), and add in a waterfall traverse (or hopping) adventure, if that’s your preference. There’s just so much to do in Cebu, whether you love history, are a city buff, a water baby or an outdoors kind of person. Top tip: Don’t forget to explore Cebu’s culinary scene, too. There are lots of street foods and delicacies you can try but if you only have one dish to choose, it should be LECHON DE CEBU! One of the best places to go on vacation is the island of Cebu. In a 6 hour tour to the islands off Cebu you can enjoy island hopping with lunch included. Scotland‘s tourism industry is currently increasing year on year thanks to new attractions, a growing number of festivals and its recent appearances in major TV and movie productions. 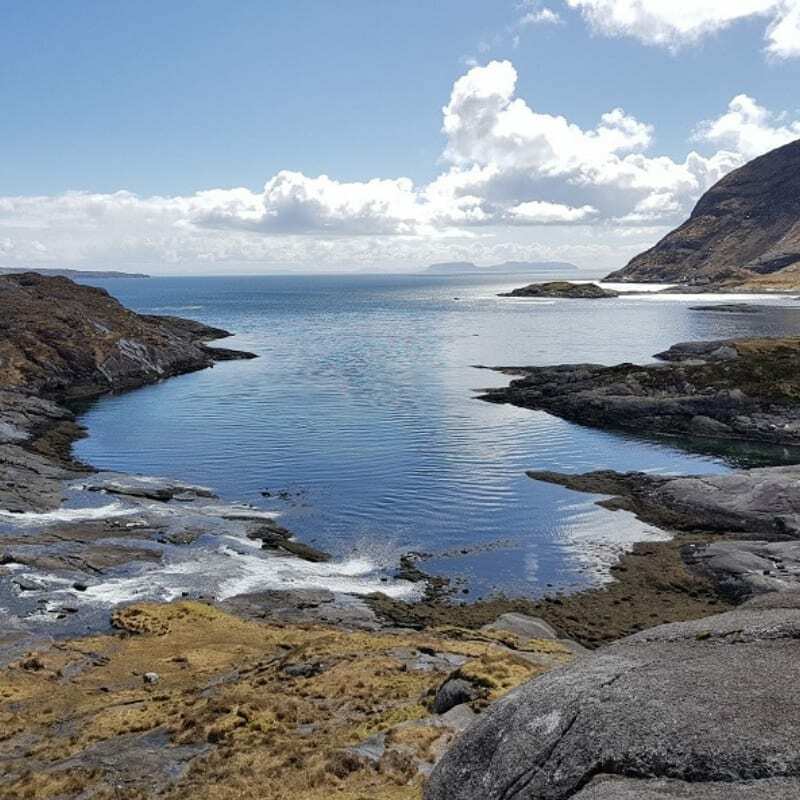 Lonely Planet has rated the Scottish Highlands and Islands amongst its top 10 ‘Best in Travel’ destinations for 2019. The Scottish city of Dundee has been mostly been overlooked by tourists in favour of nearby Edinburgh or Glasgow. Thanks to a recent major face-lift and the opening of the V&A Dundee, the first-ever design museum to be built in the UK outside London, it is certain to be added to many Scotland itineraries this year. Did you know Scotland is home to a quarter of the world’s whale and dolphin species? This year sees the opening of the Hebridean Whale Trail, which will guide visitors to the best places on the west coast to see amazing marine wildlife. Other new trails include the Hebridean Whisky Trail and Scotland’s Storybook Trail, which includes Harry Potter locations. From road-trips to outdoor scenery and bustling cities, Scotland has more tourism offerings than ever this year making it one of the best places to visit in 2019. Whilst staying in Dundee one of the fun places to travel to has to be visiting the Highlands and enjoying lunch at one of Scotland’s oldest inns. Once thought of as mainly a stopover on way to more exotic Asian countries, Singapore has emerged as a top travel destination over the past decade. The movie Crazy Rich Asians,the growth of Sentosa and the opening of the engineering marvel and luxurious Marina Bay Sands are among the developments that have raised the stature of Singapore as a tourist destination. Singapore has everything. If you are a foodie, it has some of the best food in Asian from the famous hawker centers to 39 Michelin-starred restaurants. Traveling with children? Singapore has a Night Safari, River Island, Universal Studios, Sentosa Island and more. Like gardens? The Orchid Garden in the Botanic Gardens is one of the largest and best in the world. Gardens by the Bay and the Super Trees are also spectacular. 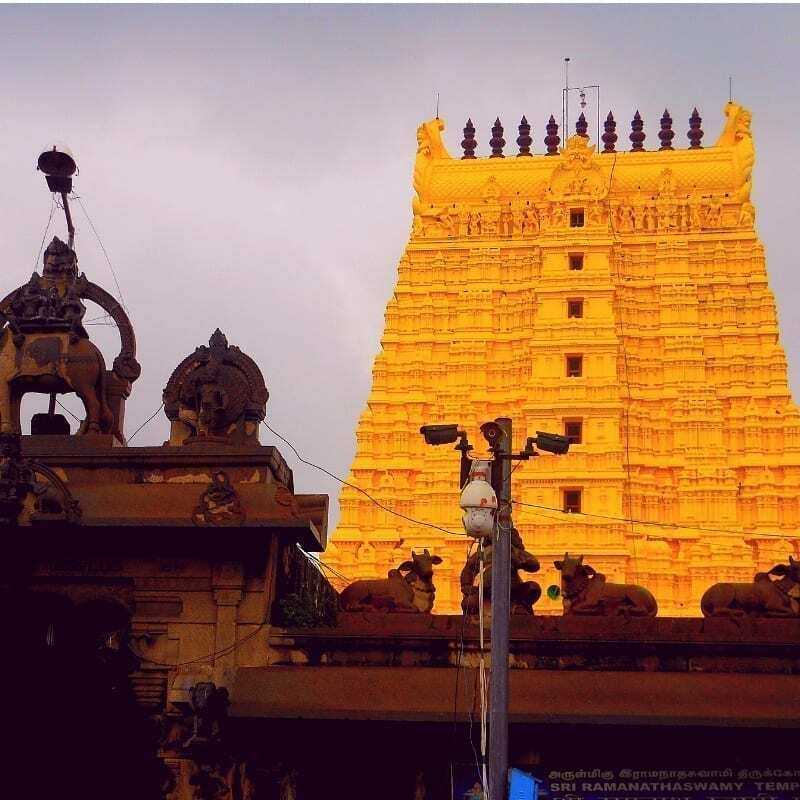 Looking for temples and different cultures? 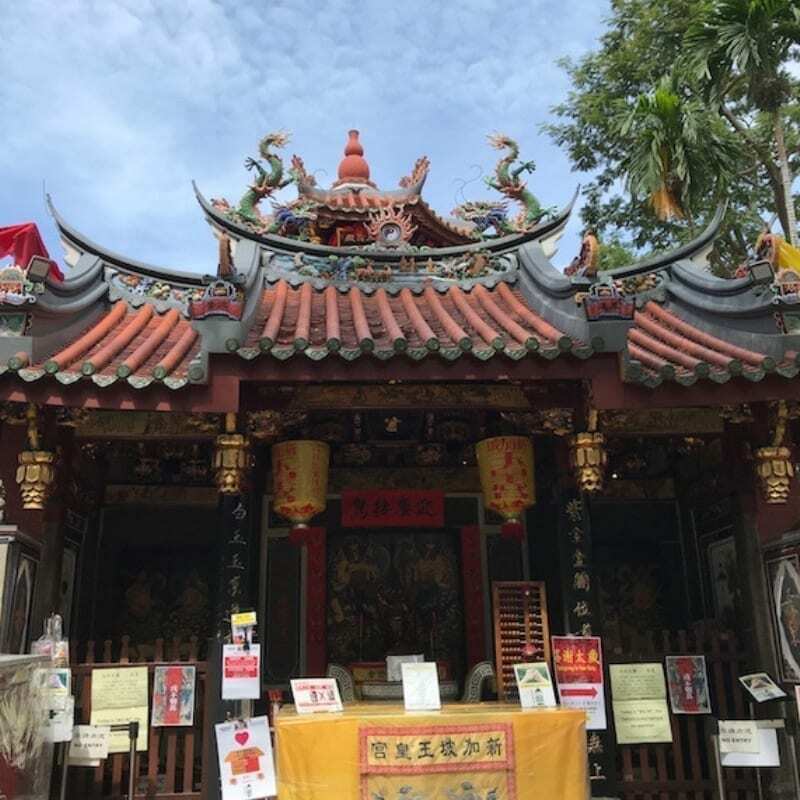 Visit Chinatown, Little India, Arab street or any of the Buddhist, Hindu, Taoist temples in Singapore. Culture lovers will enjoy the Art Science Museum, Asian Civilization Museum, the Peranakan Museum or the National Gallery. For shoppers, Orchard Road is 2.2 KM (1.3 miles) of shopping. To top it all off, Singapore is English-speaking, safe and has a very efficient mass transit system. Singapore is one of the great vacation spots in Singapore. A fun filled adventure for all the family is visiting the Night Safari with a tram ride included. Not only is Slovenia stunningly beautiful but it’s also one of the world’s greenest destinations. The capital, Ljubljana, is the perfect size for exploring on foot or by bike. Enjoy Ljubljana Castle, a stroll along Ljubljanica River or sample one of the many farm-to-table restaurants. Most tourists head straight to Lake Bled but our top tip for those looking for a more authentic nature experience is to head to Triglav National Park, home to Lake Bohinj. It’s just 30 minutes from Lake Bled and is just as beautiful, maybe even more so! You’ll also find a number of eco-friendly adventure activities here, such as hiking and biking trails, paragliding, rafting, canyoning and horseback riding. If you needed another reason to visit Slovenia in 2019, then how about celebrating World Bee Day in the country the idea originated? World Bee Day is celebrated on May 20 in homage to Anton Janša, a Slovenian bee expert of the 18th century. There are a number of bee-friendly activities organized, including API therapies, honey wellness, and workshops. 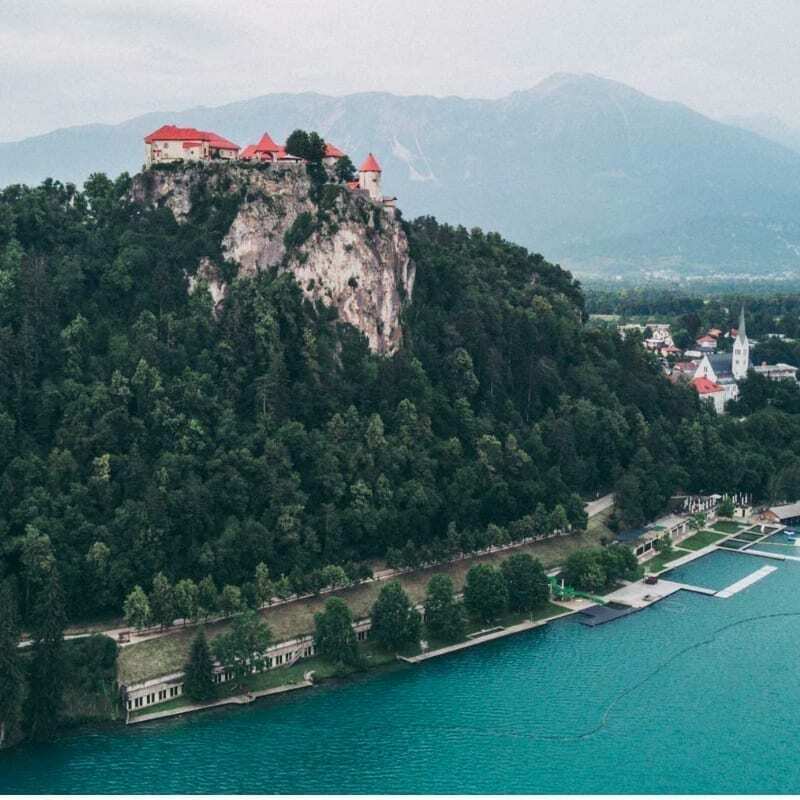 This initiative is just one amazing example of Slovenia’s dedication to green issues and one reason why it should be top of your 2019 travel list! Lake Bled is one of the best travel destinations in Slovenia. A great way to enjoy touring Lake Bled is on a Pletna boat with a Castle Tour included. If you go on just one trip in 2019, make it to South Africa. This country literally has it all, and you can have as many experiences as you want there. South Africa is blessed with an incredible landscape which includes beautiful, long sandy beaches – most of them are perfect to surf, others are even good for swimming as the water is quite warm. The coastline is rugged, making it one of the ultimate destinations for a road trip. Cities are beautiful – Cape Town is a must see. Wildlife is as good as it gets: there aren’t many countries in the world where you get to see penguins, whales and the Big Five too. South Africa is an excellent destination for hiking: the Garden Route is perfect for those who want to spend their time in nature. Last but definitely not least, food in South Africa is excellent, benefitting from the many influences, and the wines are just incredible. There are many incredible places to visit in SouthAfrica. If you have to pick just one, make sure you go to Cape Town. The city is great to explore, and it provides access to some of the most beautiful natural sites in the country. South Africa is one of the top places in the world to visit. 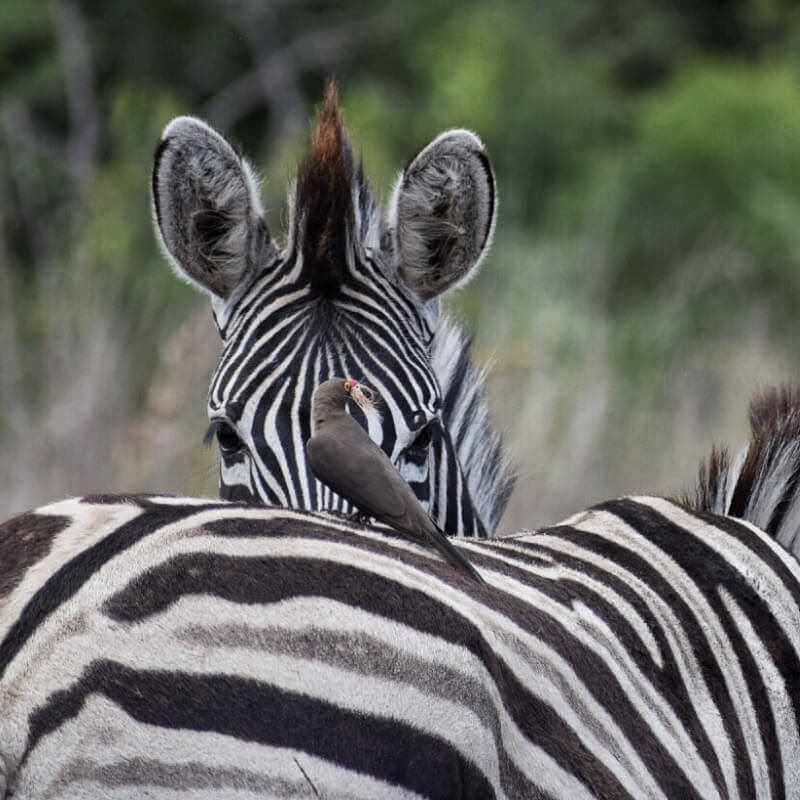 One of the most popular tours is a 2-day safari from Capetown at the Garden Route Game Lodge. South Korea often stands in the shadows of China and Japan and is, sadly, a completely underrated travel destination in East Asia. However, its unique history, rich cultural heritage and flavorful food are more than enough reasons to travel to South Korea. Prior to moving to Korea I, too, didn’t know much about the country, which made it so much fun to discover all it has to offer. Most travelers coming to Korea start in its capital, Seoul. The bustling mega city of nearly 10 million is the perfect place to see what Korea is all about: a mix of modern and traditional. This is one of only a few cities where you see hundred-year-old palce standing next to the tallest and shiniest skyscrapers or where you can enjoy delicious teas in old tea houses before heading to a Kpop concert featuring the world’s most celebrated girl and boy groups. 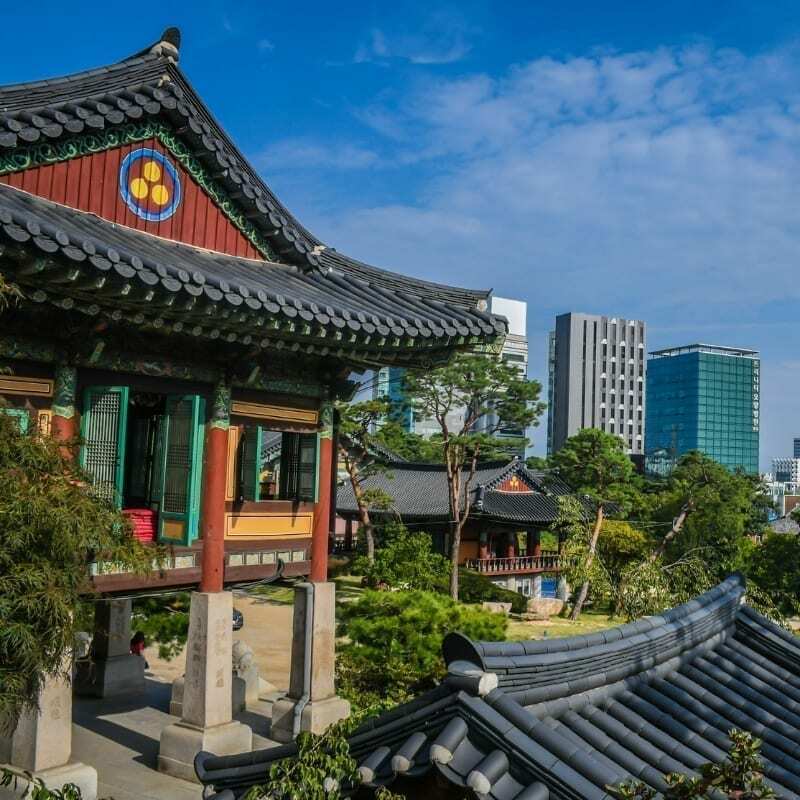 Seoul has something for everyone: UNESCO World Heritage sites, such as its five great palaces, year-round festivals, such as during the cherry blossom season (not only Japan has sakura trees! ), some of the best (street) food options with bold flavors and textures, and s vibrant fashion and shopping scene that already sets the trends for the coming months. So book your ticket and see it for yourself. Seoul is one of the amazing places to visit in Asia. If you enjoy Korean food why not take in a traditional Korean cooking class. While millions of tourists traipse the swamped southern Costas and brutally-beaten paths of cities like Barcelona, Seville and Madrid, those in-the-know head to the relatively unexplored regions of Spain’s northern expanse. But where to start? 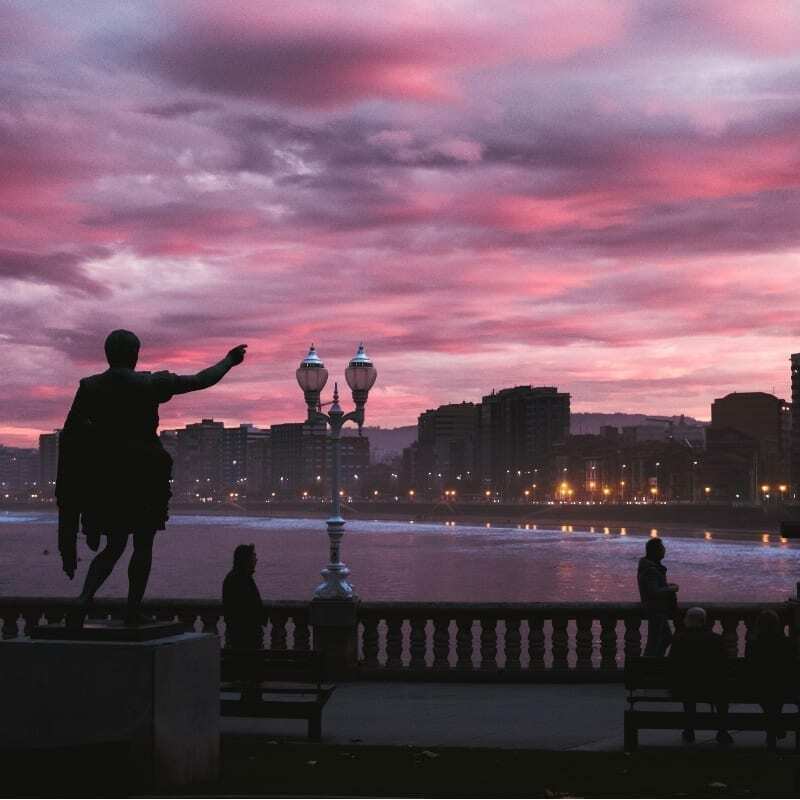 Well, as the largest city in the “Natural Paradise” of Asturias, the vibrant beachfront city of Gijón is the perfect introduction to the spoils of ‘El Norte’. The city’s main beach, Playa San Lorenzo, is a mecca for surfers, saunterers and sun-worshippers. Take a surf lesson or stroll the boardwalk to the historic fisherman’s quarter of Cimavilla. Lose yourself in the tangle of colourful streets and bustling sidrerias, where you can indulge in the region’s famous sardines and punchy cider. What’s more, Gijón’s compact scale makes it easy to explore the markets, shops and bar-filled-plazas on foot. Oh, and it’s also an ideal basecamp for exploring Asturias’ ruggedly handsome fishing villages, beaches, mountains, and the elegant capital city of Oviedo. Spain is one of the best vacation destinations in Europe. To enjoy the north of Spain you can enjoy a 5-day tour by deluxe motor coach visiting Gijon, Bilbao and Oviedo. One of the most underrated must-visit travel spots that is pure exotic landscapes, foods, culture and historic sites must be Sri Lanka. Even the name exudes the unusual and unknown for this Southeast Asian country. Sri Lanka has evolved from Indian, British, Portuguese and local rulers to create a fascinating history of old, new and local customs, flavors and inspiration that truly draws visitors to explore the many amazing regions of this island country. 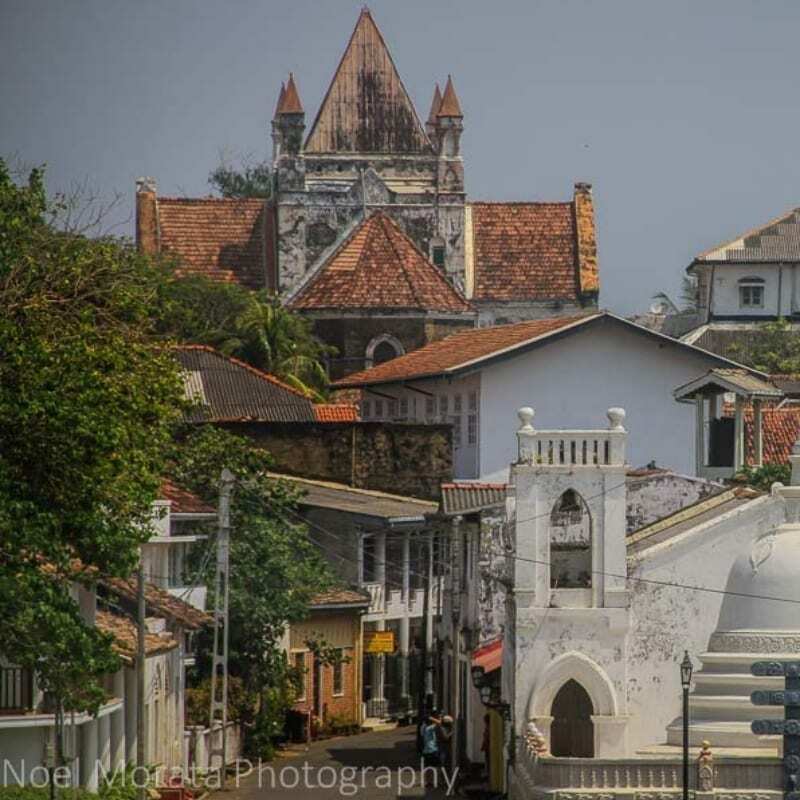 From the historic ramparts and fortress of Galle in the south, fishing cities like Negombo, the cooler tea plantations in the hill regions and Unesco and historic sites at Sigiriya, temple of the sacred tooth relic to Polonnaruwa. There are even spectacular national parks and reserves to explore like Yala National park for the elusive leopards and elephant reserves like Pinnawala elephant refuge. If you’re a foodie then Sri Lankan food is exciting, exotic and filled with so many spices in all the dishes. There are so many amazing dishes to try during each meal of the day that are so different then typical Southeast Asian style foods. Check out this post of the typical Sri Lankan local dishes and street foods here to get an idea about what to try when you visit the island. You will enjoy your visit to Sri Lanka and exploring all the wonderful areas of the island from the historic sites, quiet beach areas to natural wonders around the country. Yala National Park is a popular tourist spot in Sri Lanka. You can experience a 2-day safari at the park staying overnight in a tree house. We have explored many places in the world but one that is close to our hearts is Chiang Mai in Thailand. We spend part of the year in Chiang Mai and each time we return it’s like coming home to an old friend, that is why Chiang Mai is our pick for top travel destination in 2019. The mark of a good destination always comes down to the friendliness of the local people. Chiang Mai has the friendliest residents that I have ever encountered, always smiling, courteous and kind. Chiang Mai is a city of festivals, so be prepared to be dazzled by the regal beauty of traditionally dressed Thai women and men during the popular Loy Krathong and Flower Festival parades. Be enthralled by the nearby hill tribe mountain villages. Here you may get to see local hill tribe women and children wearing exquisitely embroidered clothing. Chiang Mai is a city where the traditional and modern stand side by side. Ancient Buddhist temples and ultra-modern shopping malls peacefully co-exist. Whether visiting the resplendent sacred golden Chedi of Wat Phra That Doi Suthep Buddhist temple on Doi Suthep mountain or rocking the night away to the blues at Boy Blues Bar, Chiang Mai is an exciting destination just waiting to be discovered. You can’t come to Chiang Mai without trying the food! The city boasts a range of world cuisines and the choice of fine dining or sampling delicious street food is only limited by your budget and preference. While here make sure to try Khao Soy, a spicy chicken and crunchy noodle soup that is a regional favourite. One of the best places to visit in Chiang Mai is the Doi Suthep and Hmong Hill Tribe Village. 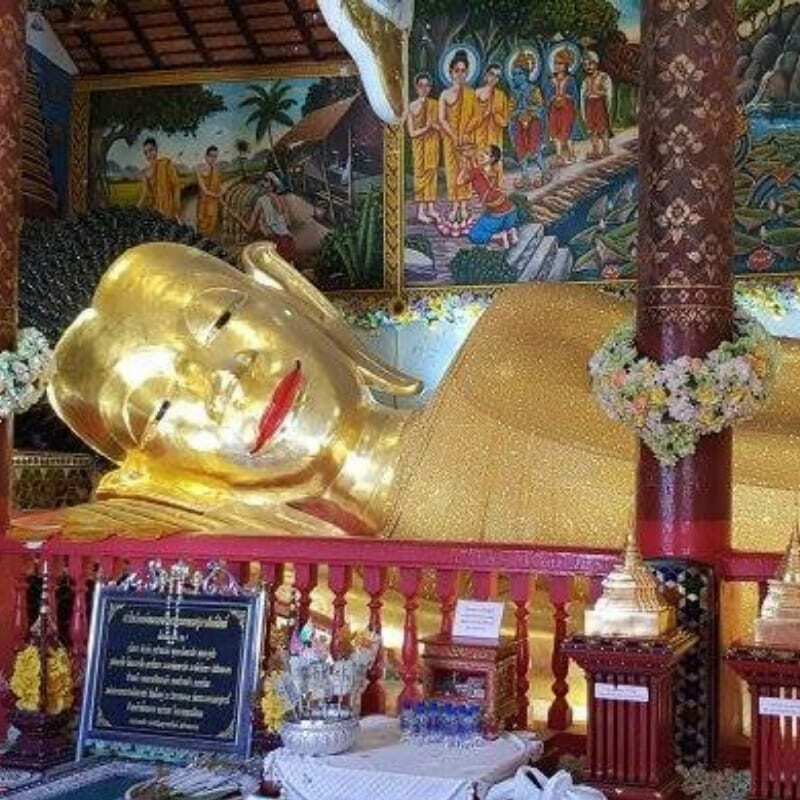 This is a half day tour from Chiang Mai. You may have seen it all over social media, but nothing beats seeing the unique landscape of Cappadocia with your own eyes while riding a hot air balloon! 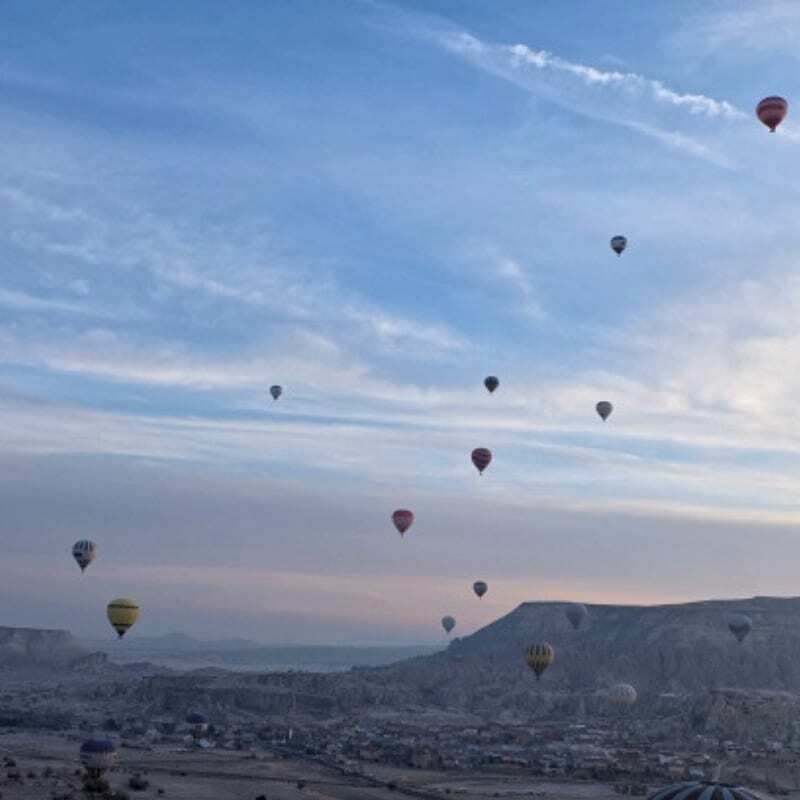 It is simply a magical experience either if you’re on the hot air balloon during sunrise or on the ground watching the hot air balloons go up above the fairy chimneys. There are around 150 balloons that go up each day, as weather conditions permit, but more so during summer which is the peak month for tourism. Cappadocia is also beautiful in winter especially when the fairy chimneys are covered in snow. But it is not always guaranteed that hot air balloon rides will be allowed on your chosen date. The beauty of Cappadocia is not just seen from above, but also below in its underground cities. You can also learn about the history and religious importance of the province through the fairy chimneys, underground cities, and rock-carved churches. To complete your Cappadocia experience, book and sleep in a cave hotel. Cappadocia has to be one of the coolest places in the world to visit. There is nothing better than flying over Cappadocia’s unique landscapes in a hot air balloon. England is often an underrated destination but definitely one that you should put on your list. 2019 may be the perfect year to visit. Brexit uncertainty will probably ensure that the pound will stay low all year, meaning that you will get better value for money. London is probably the greatest city in the world but England’s real charms lie in the countryside. The south-west of the country is one of the prettiest areas to visit and is easy to get to from London. Why not head to the UNESCO World Heritage city of Bath and explore its Roman and Georgian architecture and history? Bath then makes a good base to explore the Cotswolds from; if you want to experience proper chocolate-box old England, then the Cotswolds’ honey coloured, unspoiled villages set among gently rolling hillsides are your best bet. Staying in the south, you can head to Stonehenge and then down onto the south coast. Visit the Jurassic Coast for spectacular scenery and then head into south Devon along England’s equivalent of the Riviera. A tip for travelling through England is to hire a car if you want to explore the Cotswolds and Devon in any depth. Public transport between major cities is good, but local transport can be infrequent and unreliable. 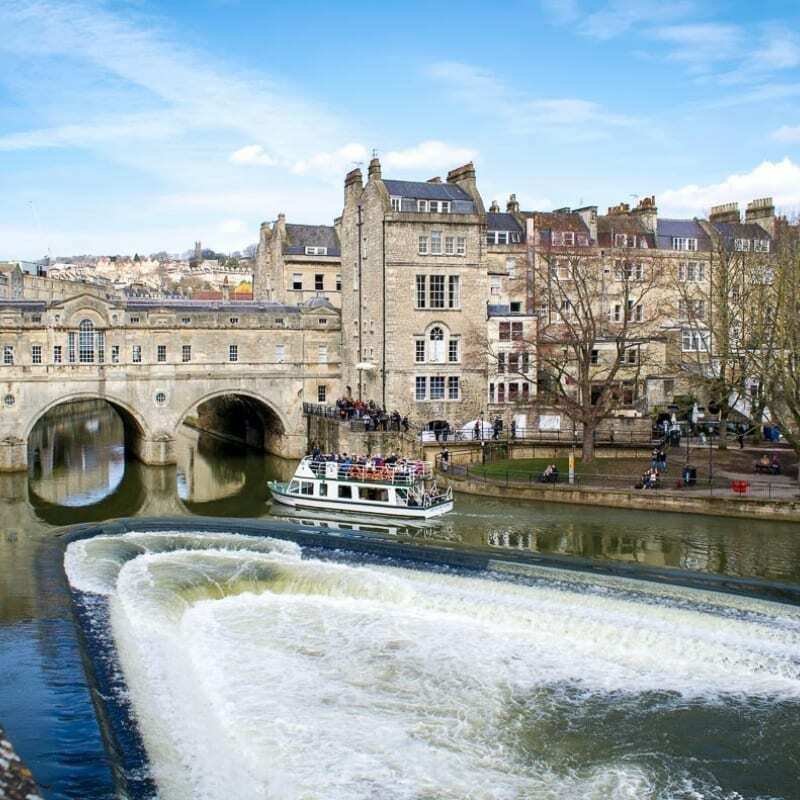 Bath is one of the top places to travel to in the UK. To make the most of your visit a walking tour with a visit to the Roman Baths is a must. 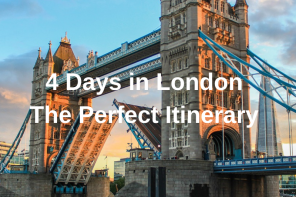 London is always one of my favourite travel destinations, but 2019 is a good time to go, thanks to a weaker pound making the notoriously expensive city that little bit more affordable. There are all the tourist hotspots of course, but my tip is to spend some time exploring some of the more unusual things to do in London. 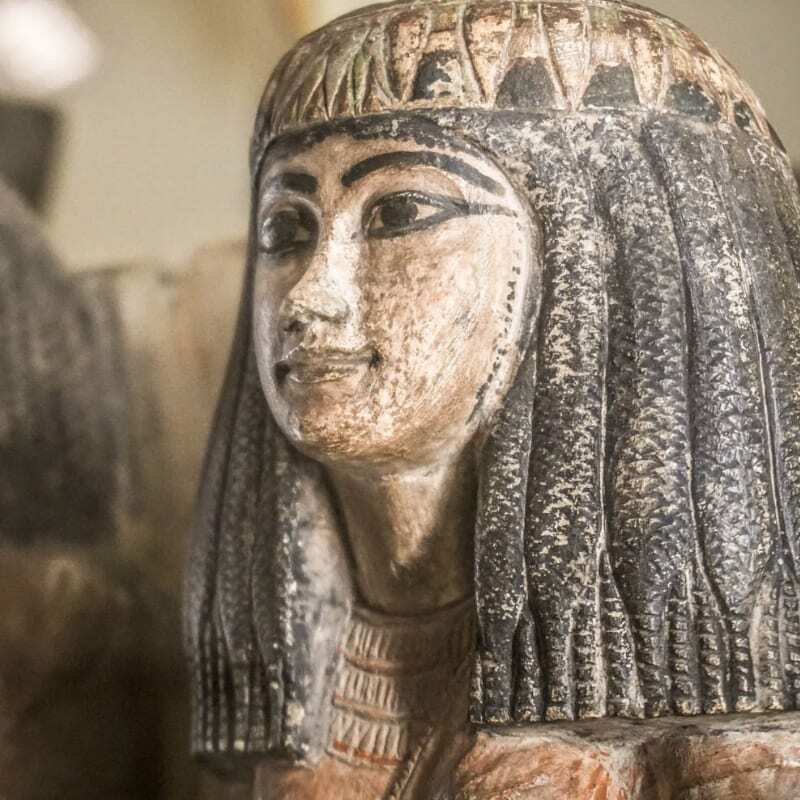 From visiting a Roman Temple buried underneath the Bloomberg Buildings to visiting the Petrie Museum of Egyptian Archaeology, there are lots of off the beaten path spots for you to visit (and many of them are free). My personal favourite is Leighton House, the living studios of Victorian artist and collector Frederick Lord Leighton, whose eclectic tastes created what is now a cool little gallery and museum in Holland Park. Tempting as it can be to get a hop on hop off bus, you’re better off taking a walking tour. Spend as much time as possible discovering the city on foot to see a different side of the city. London is one of the top 10 tourist destinations in the world. The easiest way to see London’s sights is to travel on the Hop On Hop Off Bus Tour. We suggest travelers go off the beaten path and visit one or more underrated places in the USA. While the big 5 – Los Angeles, San Francisco, Chicago, New York, and Washington, D.C. – get all the attention, there’s much more to acquaint yourself with in the land of the free, home of the brave. 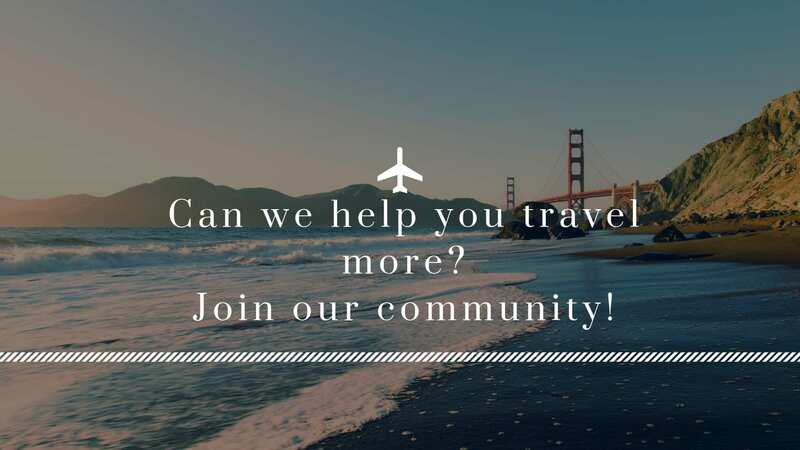 Our money is on places in the United States that will provide a variety of activities and experiences – wilderness, urban, cultural, active, relaxation – to suit every kind of traveler. We recommend the Mogollon Rim area in Northern Arizona where you’ll find the Grand Canyon and the Petrified Forest among other magnificent natural attractions. For city lovers, Memphis, St. Paul, and Detroit offer musical traditions, rich regional and historic culture, along with atmospheric riverfront ambience. For a pastoral and historic experience, rural Pennsylvania outside of Philadelphia offers up Revolutionary and Civil War-era landmarks with a traditional agricultural and winemaking heritage. Each of these less visited locations in the United States has a unique charm and will leave you with a distinctly American context you can’t get from their more heavily touristed counterparts. Go off the path and discover! 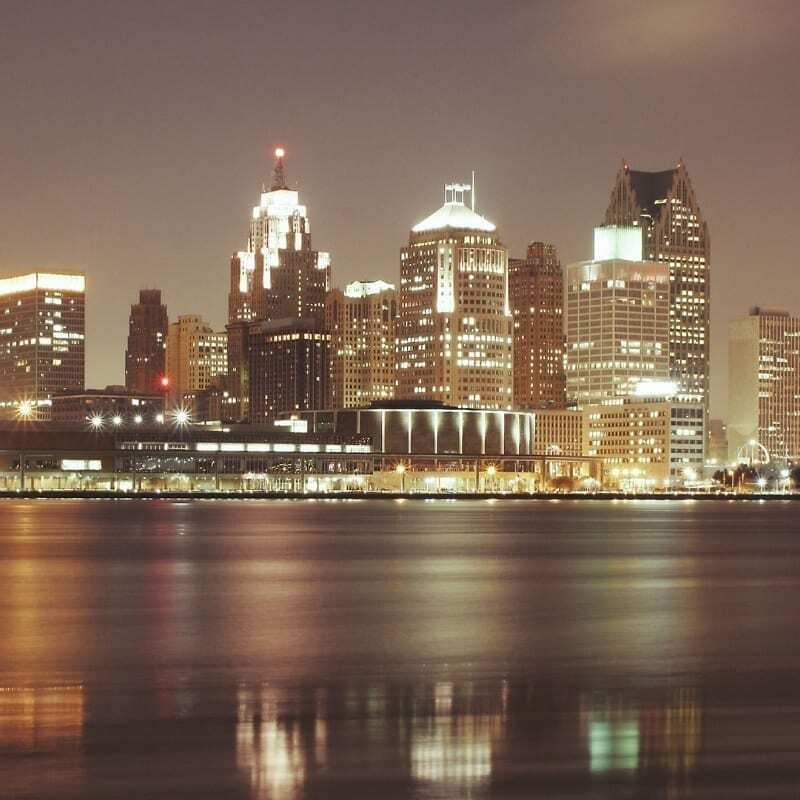 Detroit is one of the fun places to visit in the USA. A great way to know the city is to take a walking tour with a local. The United States is the place to visit in 2019. It’s always been a wonderful destination no matter what your interest: astonishing natural beauty, bustling cities of culture and style, fascinating museums, or whatever else moves you to travel. This year, though, it seems to beckon more than usual. For those of us who live anywhere else in the world, America is constantly in the news: this unpredictable, constantly-changing presence. It makes people curious to see it for themselves. My top tip: you’ll need to narrow things down. The country is enormous, so don’t plan in too much. New York, San Francisco and New Orleans are my three favorite cities. You could fly from one to the next and see all three. Otherwise, choose just one and see it well. New York is exciting and compact and could keep you busy for weeks, but you could also travel north for outstanding scenery, or go down to Washington, DC to see where the news happens. San Francisco is such a diverse and visually beautiful city that you won’t want to leave. Yet there is plenty to see not far away: redwood forests, lovely coastline, and national parks. New Orleans is the friendliest city I’ve ever visited in the US, and its history is fascinating. Add a road trip through the deep south from New Orleans and you’ll learn a lot about both US history and America today. 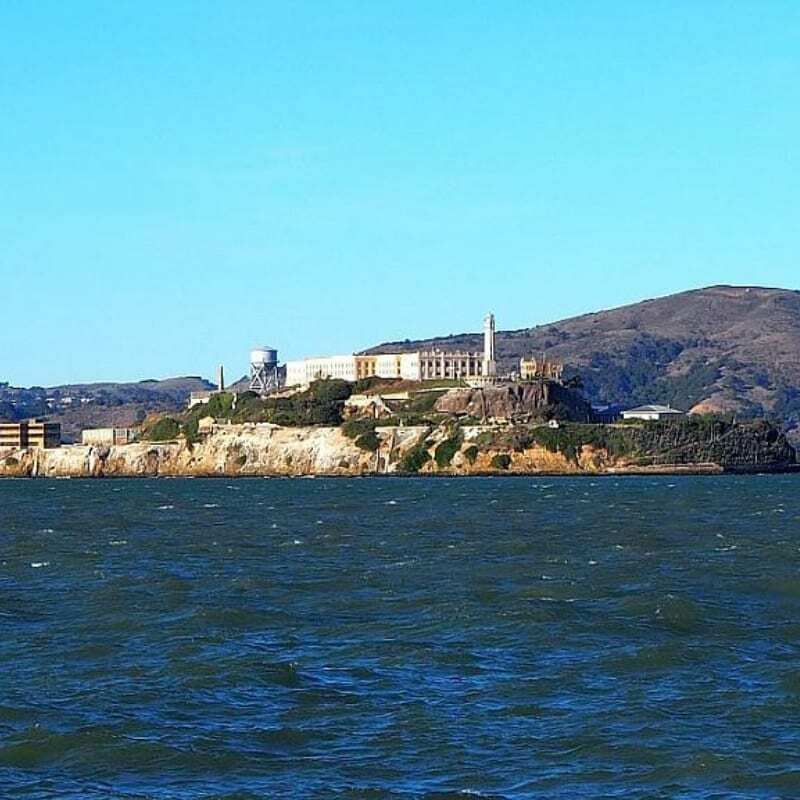 One of the top tourist destinations in San Francisco is to visit Alcatraz and you can combine the visit with a City Tour. For years Uzbekistan has been closed to visitors – it was possible to get a visa but the whole process required a lot of paperwork and wasn’t the cheapest. Fortunately, it has changed, visa rules have been simplified and now, depending on the nationality, you either can get an e-visa easily or don’t need it at all. 2019 is a perfect year to visit Uzbekistan before everyone else discovers how amazing the country is. 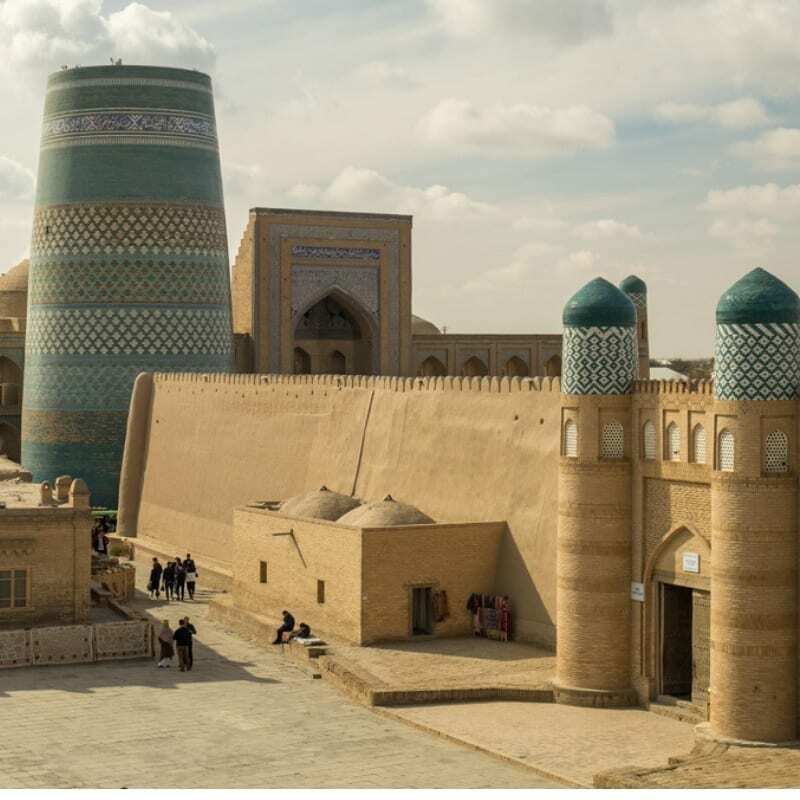 Uzbekistan is famous especially for its incredible Silk Road cities: Samarkand and Bukhara, as well as Khiva – the first UNESCO World Heritage Site in Uzbekistan, famous for its very well preserved old town. When you visit Uzbekistan don’t miss the capital city, Tashkent, too – it’s such a pleasant city with one of the most beautiful metro stations you will ever see! But Uzbekistan is more than just its beautiful monuments. The country is worth going to also for its delicious food and very hospitable people. It’s a matter of time when tourists will discover how interesting destination this is so be sure to travel to Uzbekistan as soon as possible, you won’t regret it! In Uzbekistan, some of the great places to travel to are included in a 4-day tour. The tour includes Tashkent, Bukhara and Samarkand. For the latest travel insurance quote and policy details click here. Please share our article with your family and friends. Thank you for your comments. Also thank you for your submission. This list shows that we still have so many places to visit. Thank you for your comments. Thank you also for your submission. 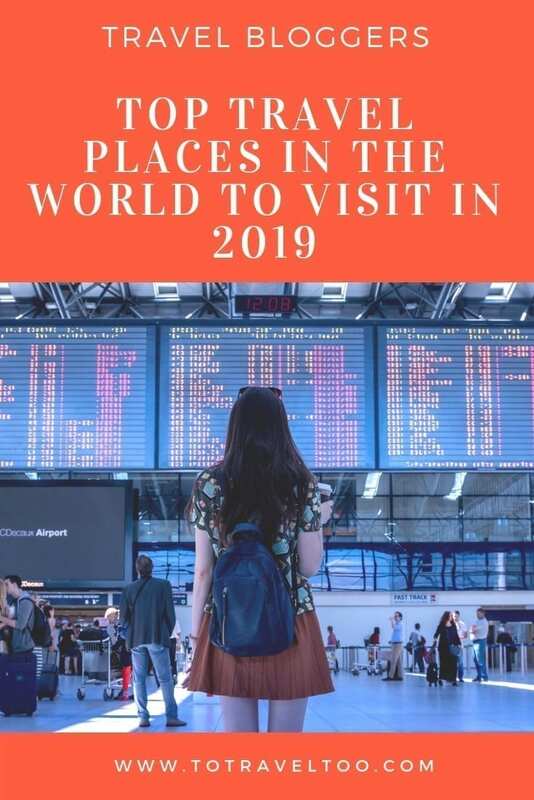 This list has shown we still have so many places to visit. Wow! So many enticing destinations to add to the bucket list. I had a day trip to Croatia last year from Slovenia so I’m really keen to go back and see more of the country – especially Plitvice Lakes. Scotland is another must-visit country for me. One country I will be visiting this year for the first time is Japan – can’t wait! Thanks for all the wonderful suggestions. Thank you for your comments and thank you also for your submission. We have a lot of destinations to catch up on too. Thank you for your submission and for commenting. Hope you can travel to some of these exciting destinations. 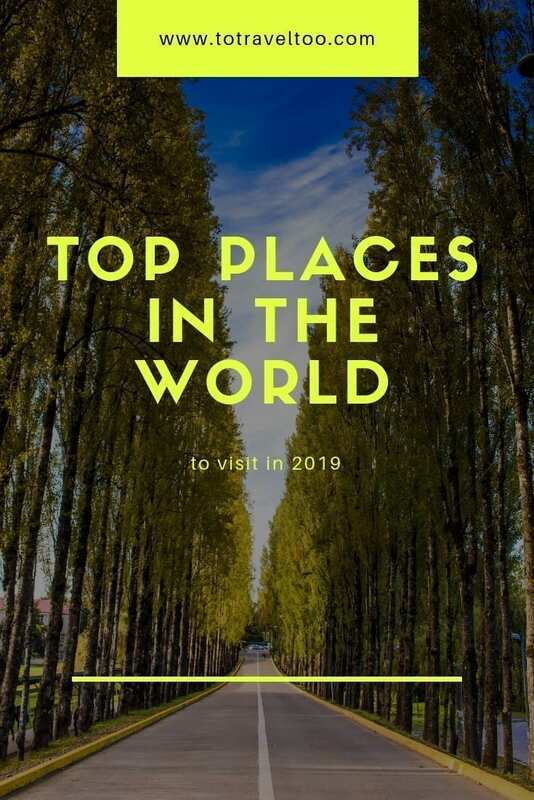 So many wonderful destinations to add to my list for 2019! I wish we had the time to visit at least some of them this year. My husband and I were debating last spring whether we should go to Peru or Chile. We opted to visit Chile’s Torres del Paine and hike some of Patagonia’s most famous trails, but Peru is still very high up on our list. We’d also love to visit Cappadocia and hopefully Chiang Mai. Thank you for inviting me to contribute to this great article. Thank you for your submission and also for your comments. Hope you can visit some of the destinations on the list. We may be able to catch up again soon. Wow, this is such a comprehensive list of places to visit. There are times when we feel that our life is so short to visit all the wonders of the world. But then we have to make the most of it. Some of these we have in our list of 2019 too. And thank you for including us. Thank you for submitting. Thank you for your comments. There is so much more of the world to see! My reaction after reading the post – “You think you have been to places?” “Woman, you haven’t even scratched the surface! The immensity of this world overwhelms me sometimes. Posts like these are a great inspiration. I hope to travel to Iceland in June this year. Antarctica and Austria are on my wishlist for next year. Fingers crossed. Thank you for you comments and thank you for your submission. We have so many places added now to our travel wish list. Such a brilliant post with so many amazing suggestions. Happy to have been a part of it. Antarctica is definitely somewhere right at the top of my bucket list this year! It looks incredible. Thanks for a brilliant article. Thank you for your comments. Thank you also for your submission. We have a lot of travelling to catch up on. Woah, what a list! I have been to some of these places and can definitely see why you would recommend them. For the ones I have not been to, I really want to! lol. Antarctica is more of a dream place, because its so expensive! I do see myself visiting the salt flats and Cambodia in the next year or two. Thank you for your comments. This list proves there is still so much to see and do in this beautiful world of ours. Oh gosh this is sparking dangerous levels of wanderlust in me. Antarctica has been on the top of my list, but I want to combine it with a trek through Patagonia, so that would be a couple of months long trip most likely, which has proven to be very difficult to plan. I’ll make it happen one day though, if not in 2019! 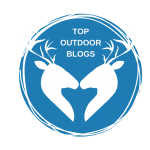 Amazing list – great job putting this together! Thank you for your comments. After Antarctica, we travelled Patagonia and did it in 3 weeks so it is possible to do it under 2 months. This is full with great places around the world. I like it because it’s based on travelers recommendation, not what the magazine said. I hope to visit a few countries in the Europe from the list. They just look amazing. Thank you for your comments. We hope that you can visit some of the recommended destinations. What an incredible list of places to go! I’d love to get to Antarctica – that’s a real bucket list item for me. But top of my list is probably Uzbekistan – the architecture there is incredible! Thanks for including our submission too. Uzbekistan is also on our list. Thanks for your comments and thanks for your submission in the post. Thanks for putting together this inspiring list and thanks for allowing me to share my love of Scotland. I’ve definitely added some new ideas to my never ending travel list! Thank you for your comments and thank you for submitting Scotland. We will visit one day as we try to undertake all destinations on the list! 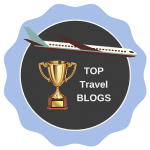 This is a wonderful list and I totally agree that Antartica and is one of the top places to visit . In fact, it is also part of my bucket list. I will try to check my cruise company and see the possibility of visiting this November in time of our wedding anniversary. Thank you for your comments. It is a comprehensive list thanks to all the bloggers who assisted. We still have a lot of travel to do according to this list. 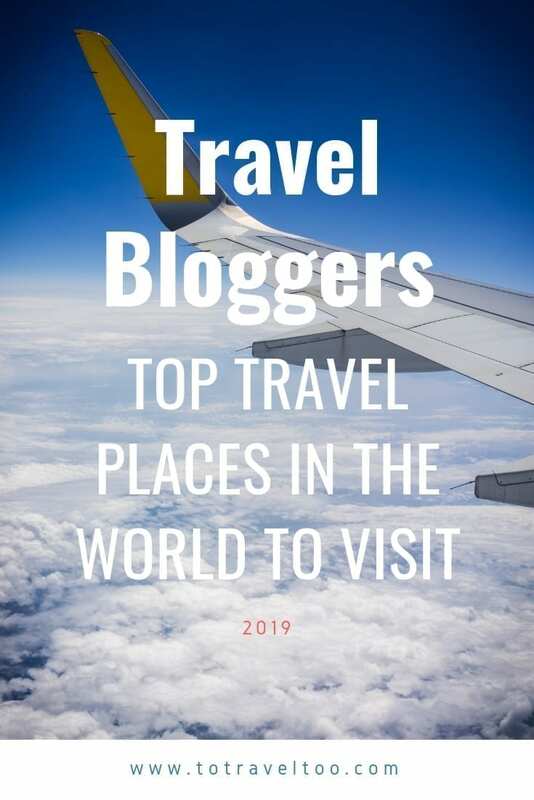 This is a mammoth list with so many places on here that is on my personal list to travel to. I’m glad to see that Australia made it twice. Margaret River is absolutely stunning and not usually the number place someone would pick to go if visiting Australia. Antarctica for me is a dream. Just waiting for my daughter to grow up a little more before we embark on a trip like that! Thanks for your comments. Margaret River is a favourite of ours, the wine is amazing and I can’t stop raving about the food. Hope you can make it one day. Thank you so much for hosting this collab post! It looks so amazing, I definitely have many more places to add onto my bucket list and I can’t wait to check them off! 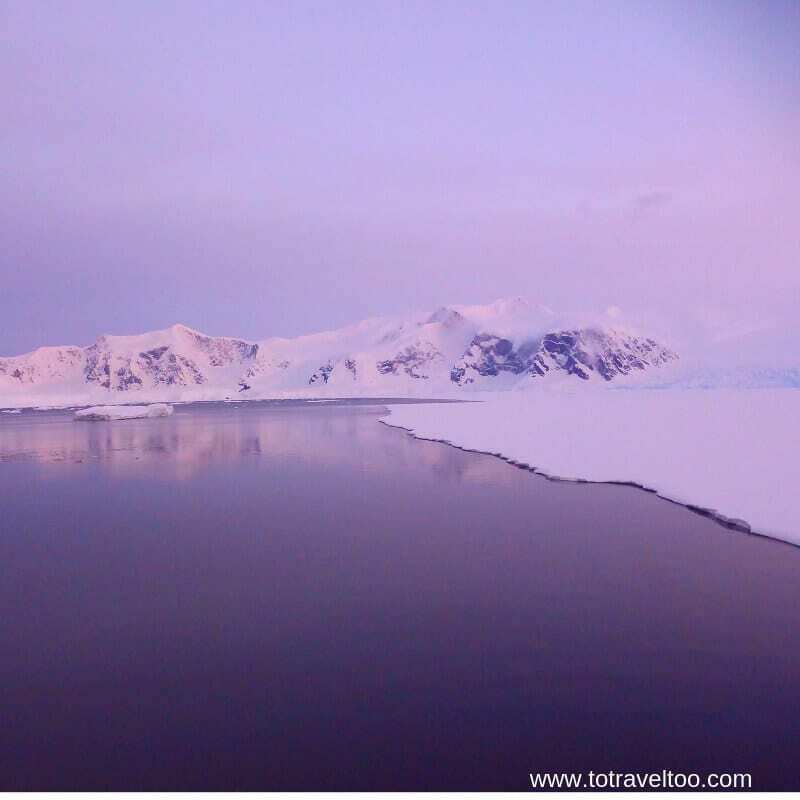 Antarctica is a dream destination I really have to make happen after reading this post. Thank you for your comments. Antarctica and South Georgia Islands were amazing, hope you can make it. Thank you for your comments. I am so impressed that you have covered 70% of these. We have so much still to do. Such a wonderful post. Wow still so many places to visit. Thanks for the opportunity. Thank you for your comments. Thank you for your submission. We have quite a few places still to visit from this amazing list. Pakistan is definitely picking up… such a great place to travel in 2019, 2020 and even 2021! Thank you for your comments and also thanks for your submission. Pakistan is on our travel list now. Totally loving this post! There is so much to see around the world. Obviously, I went directly to what’s written about my country, India! Happy to see the multi-locations! So many out of my wish-list are also here including Salar di Uyuni, Cambodia etc. 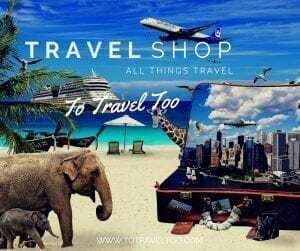 Wishing you a travelicious 2019! Thank you for your comments. There is so much of this world to see!